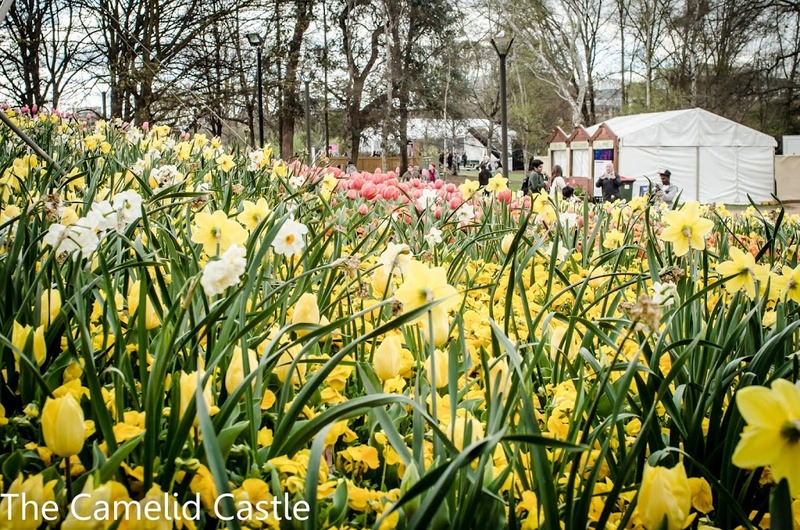 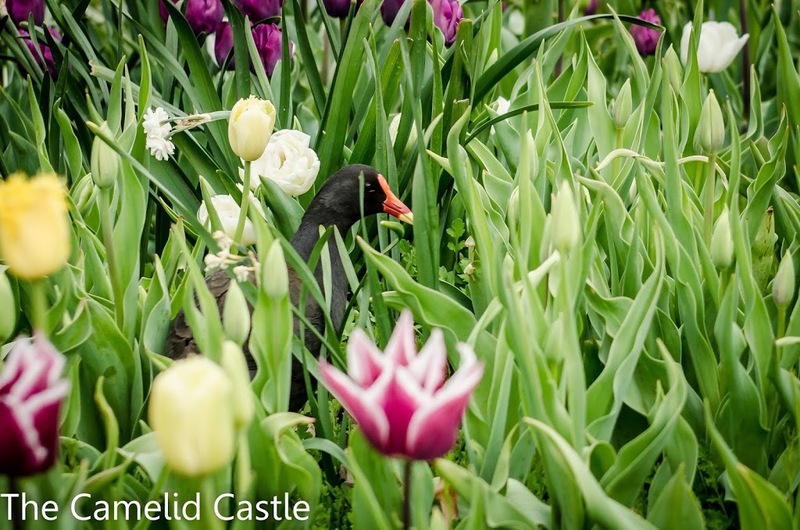 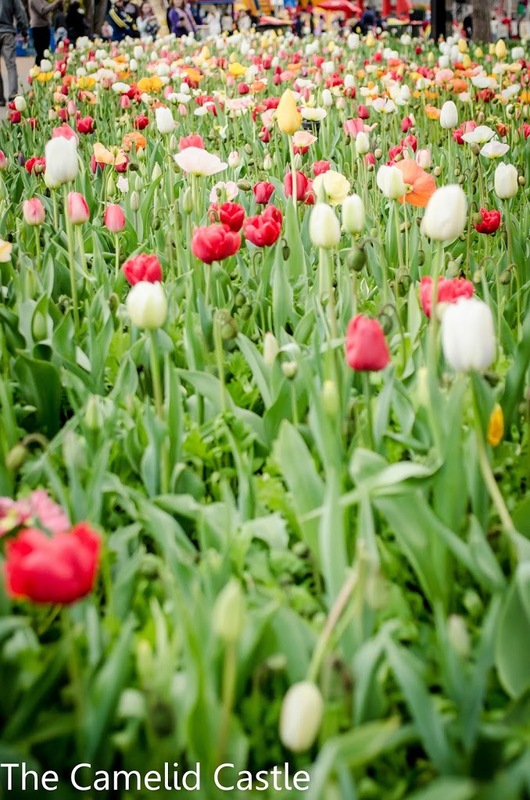 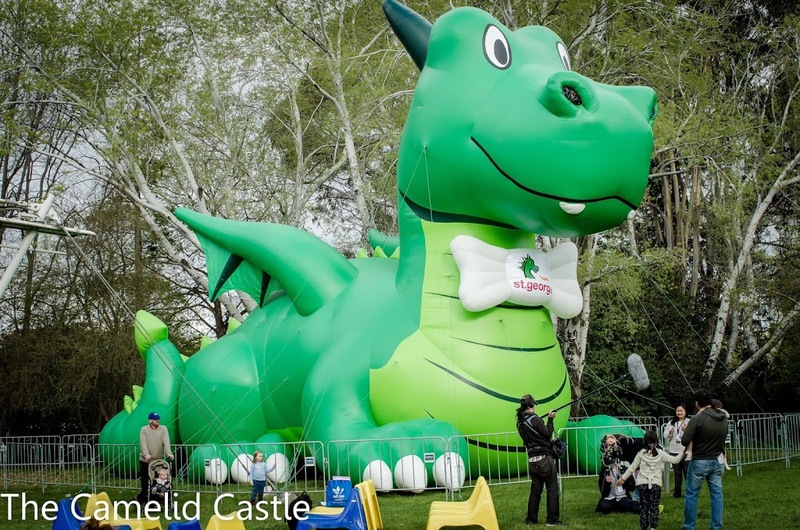 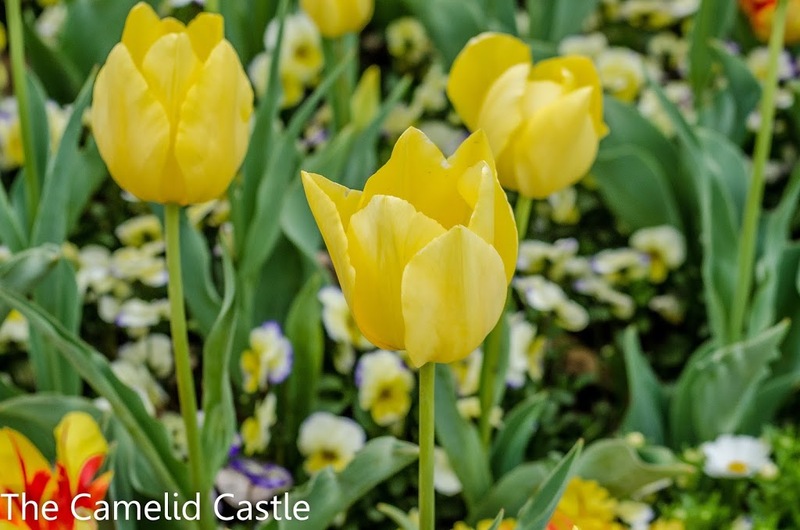 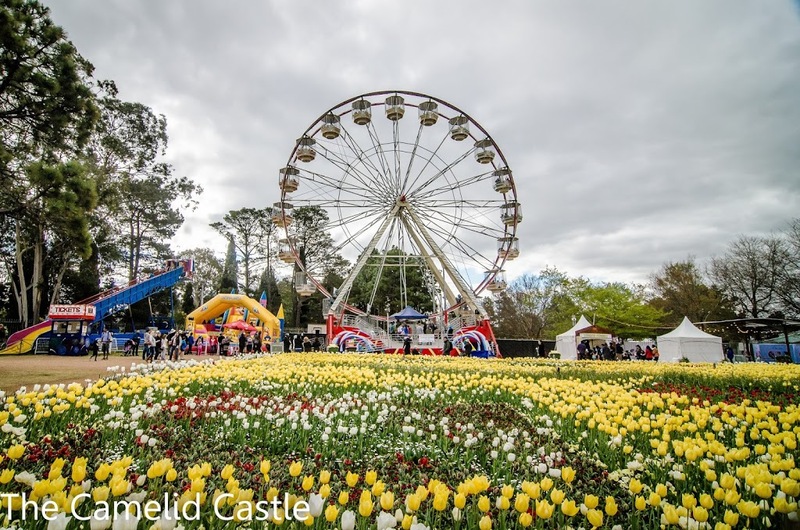 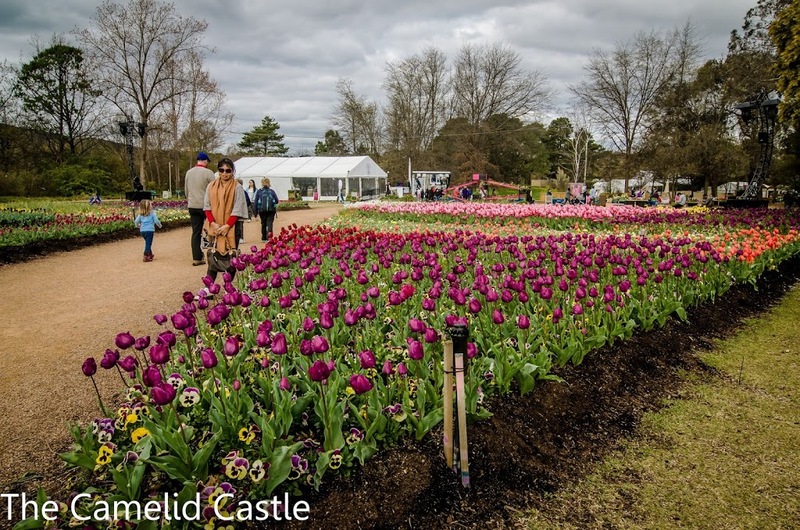 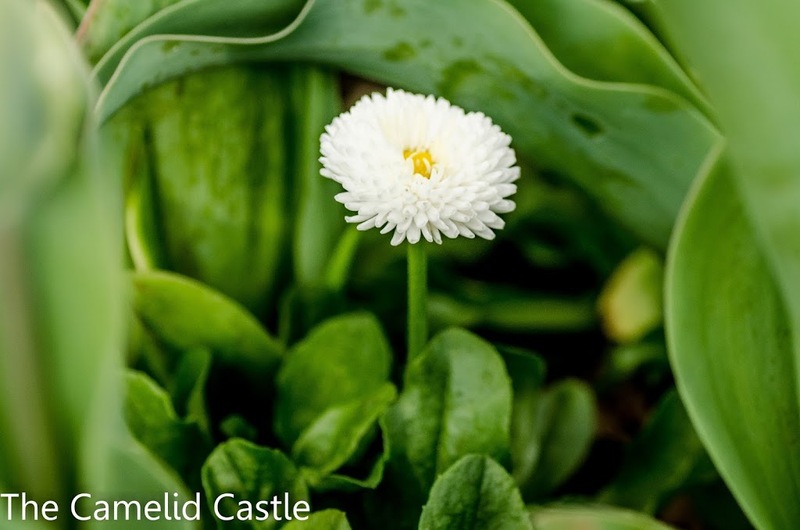 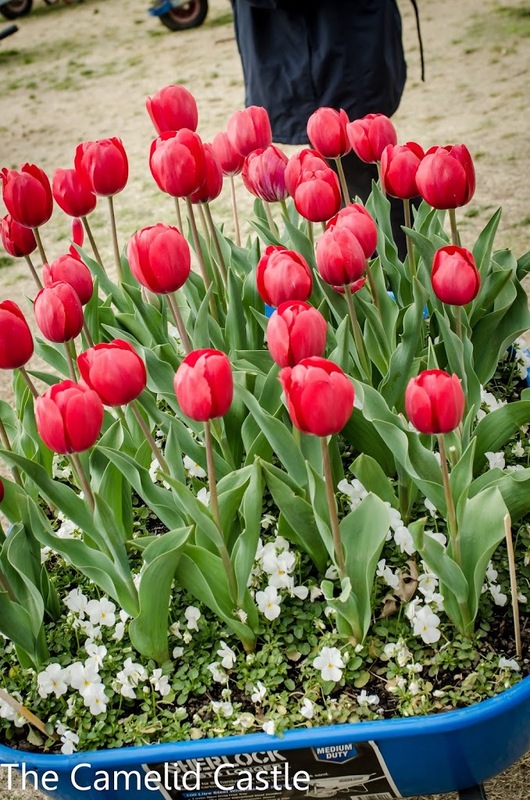 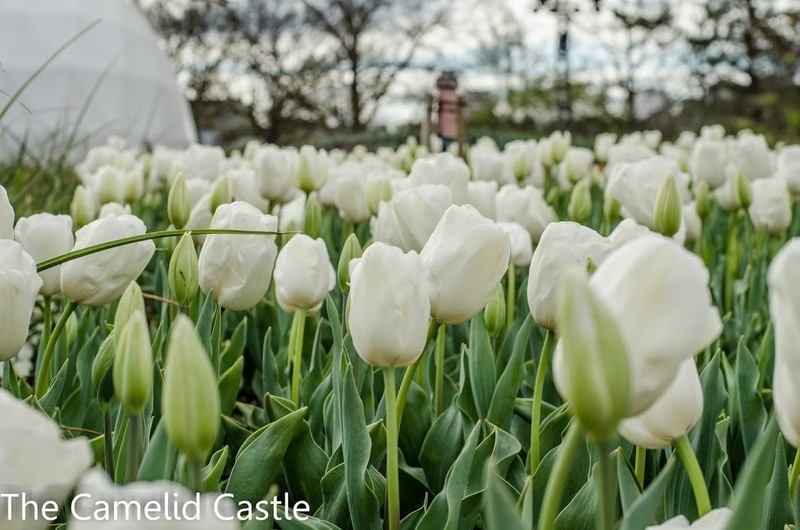 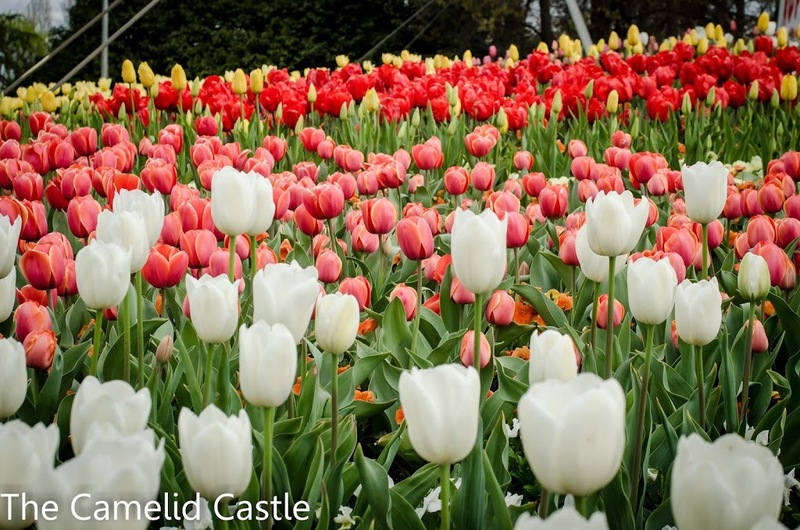 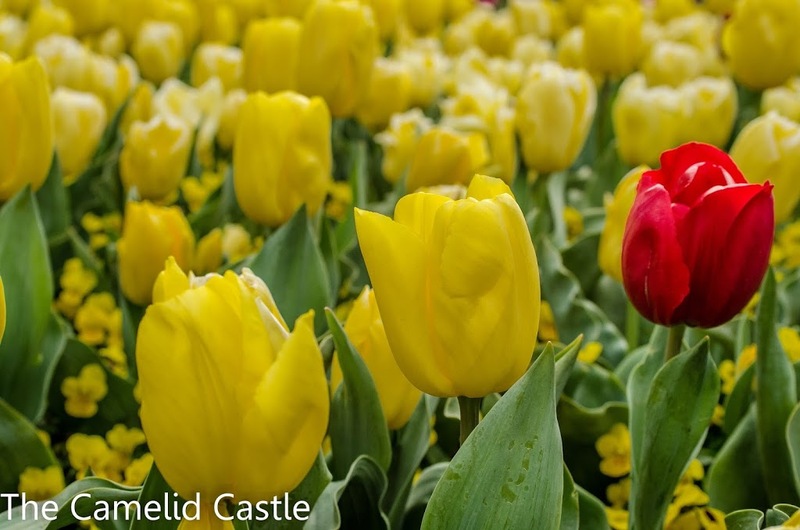 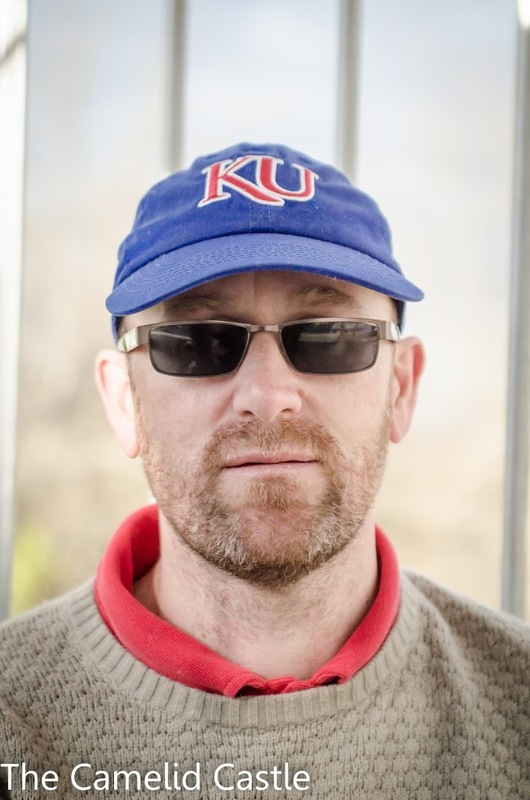 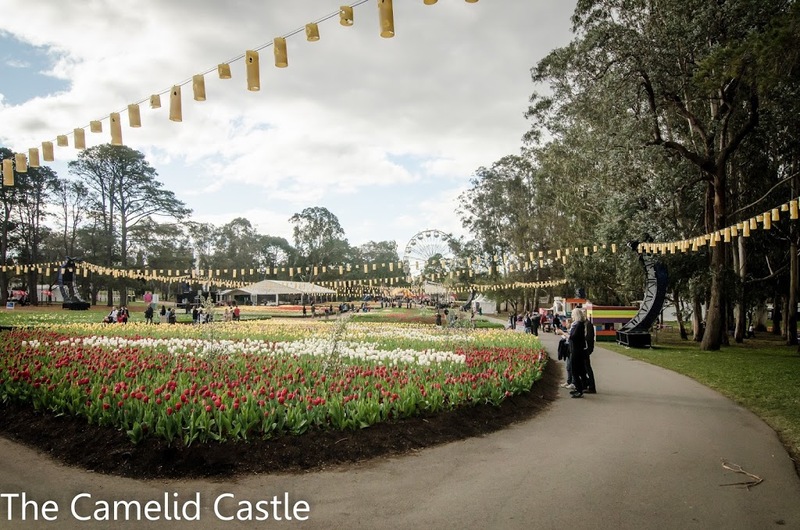 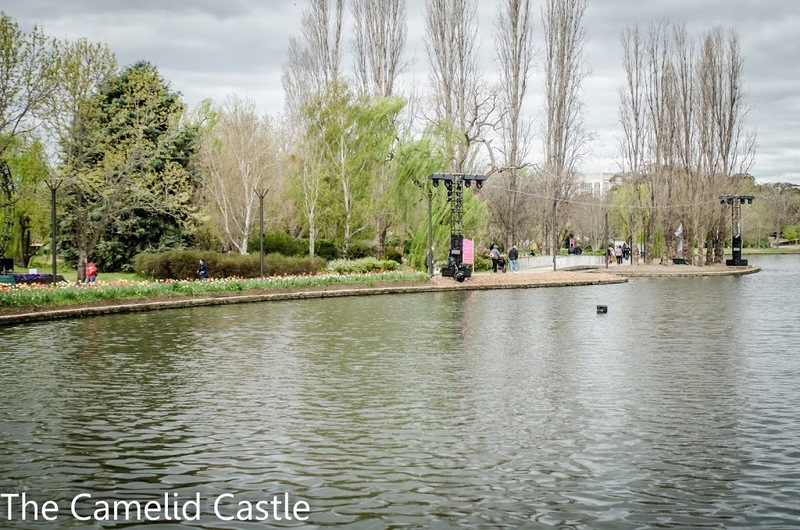 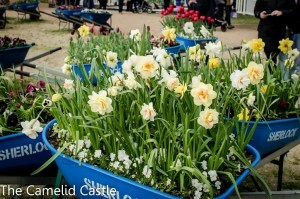 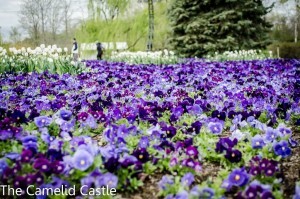 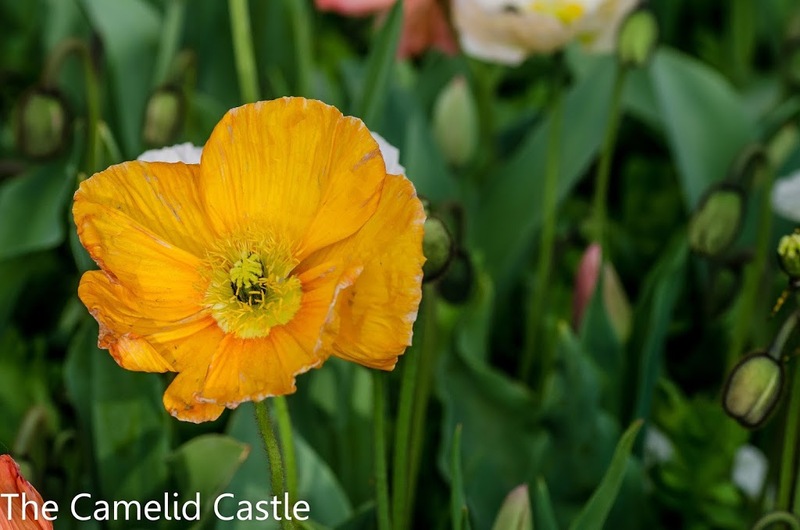 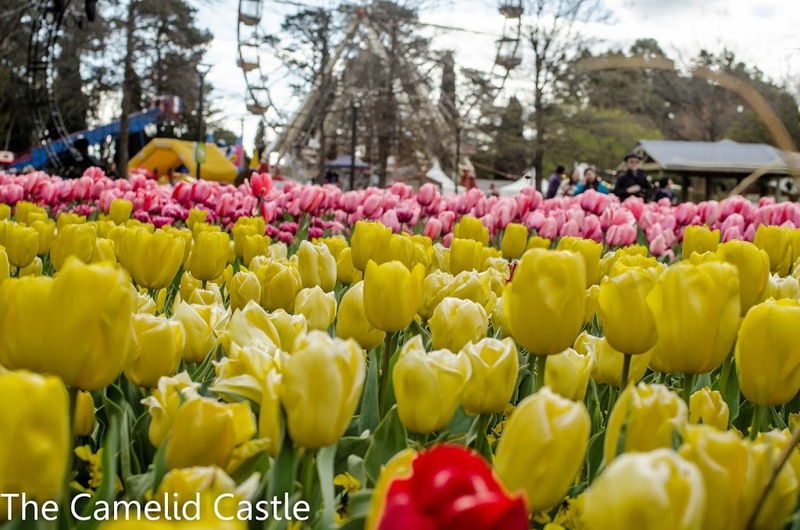 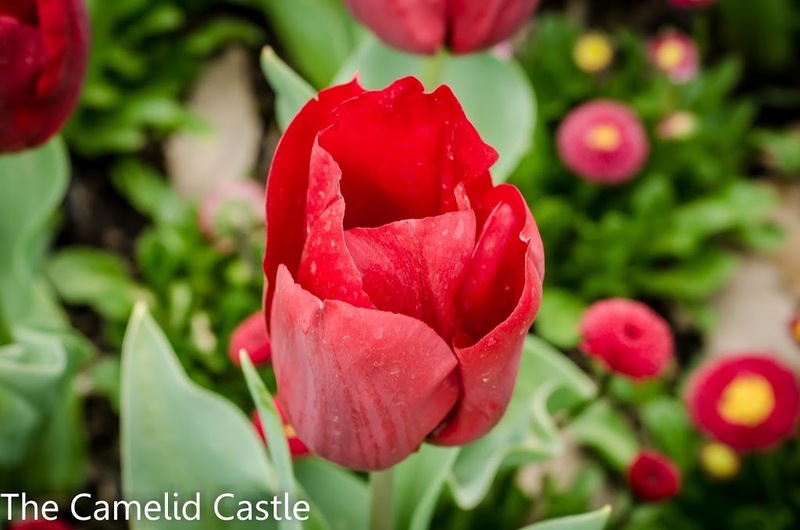 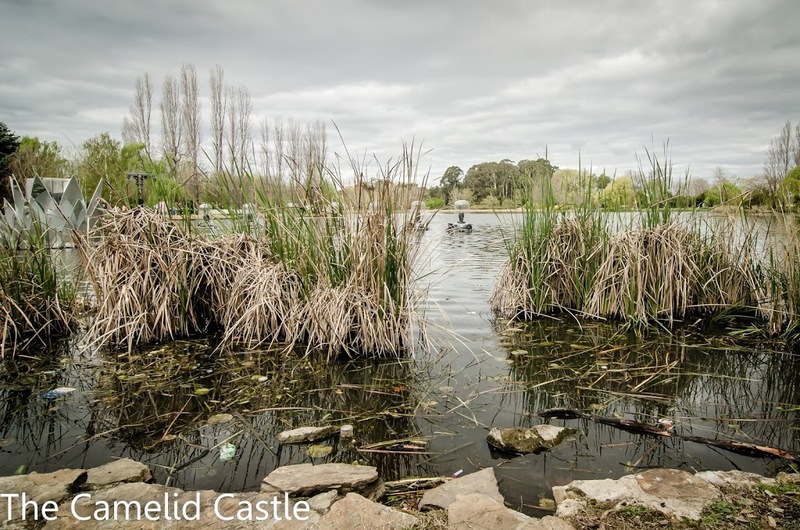 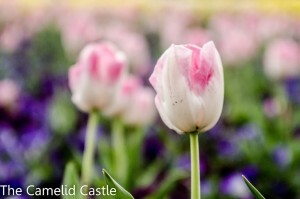 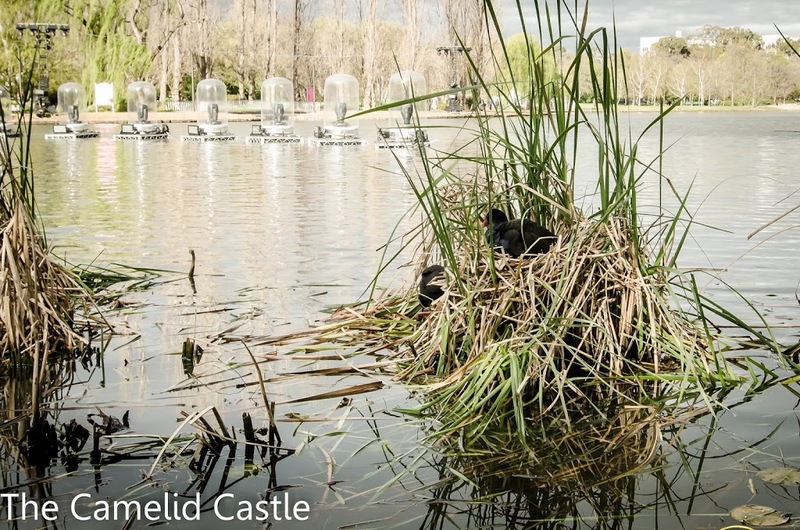 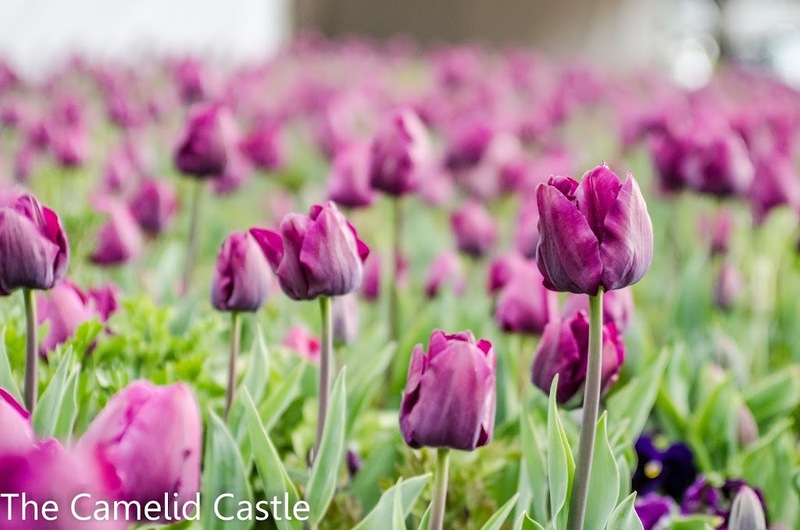 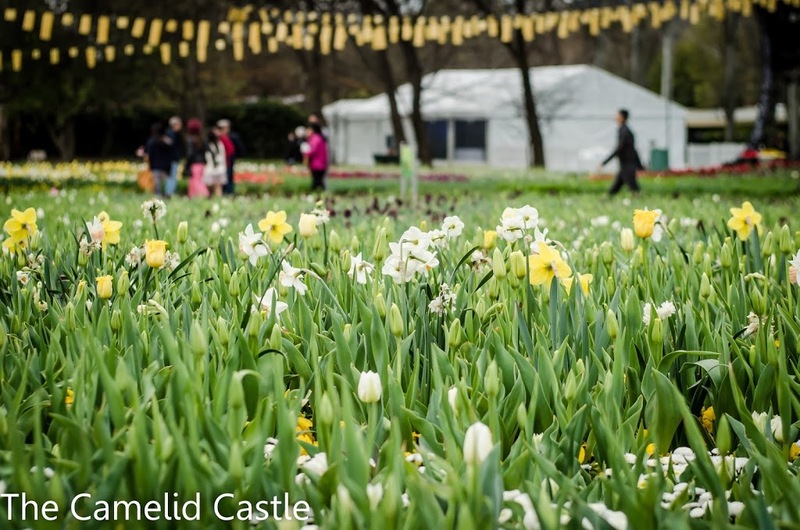 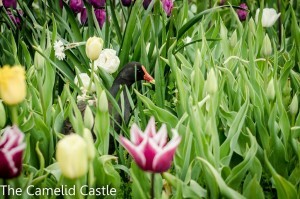 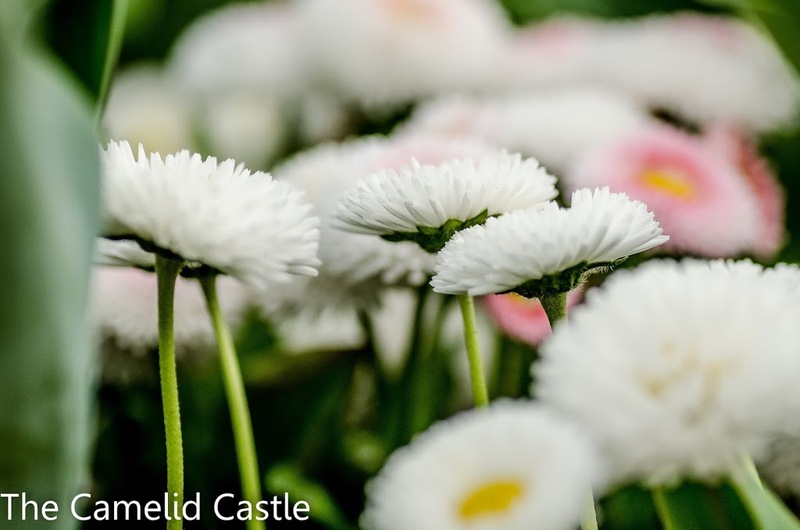 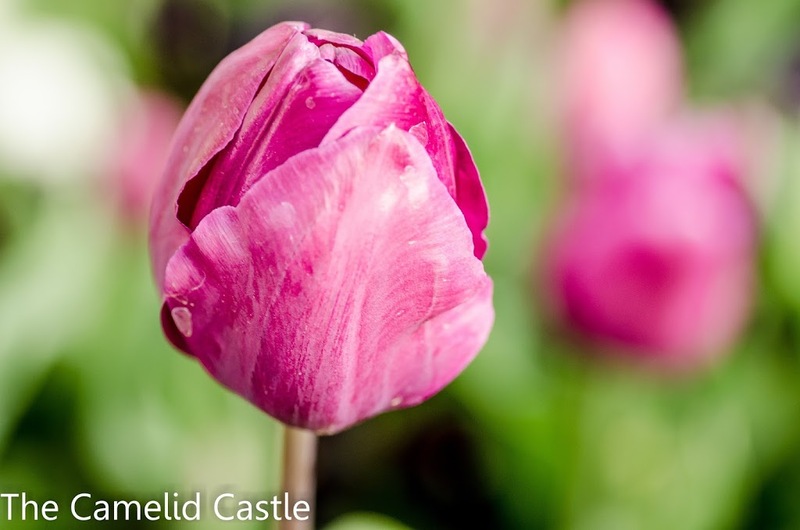 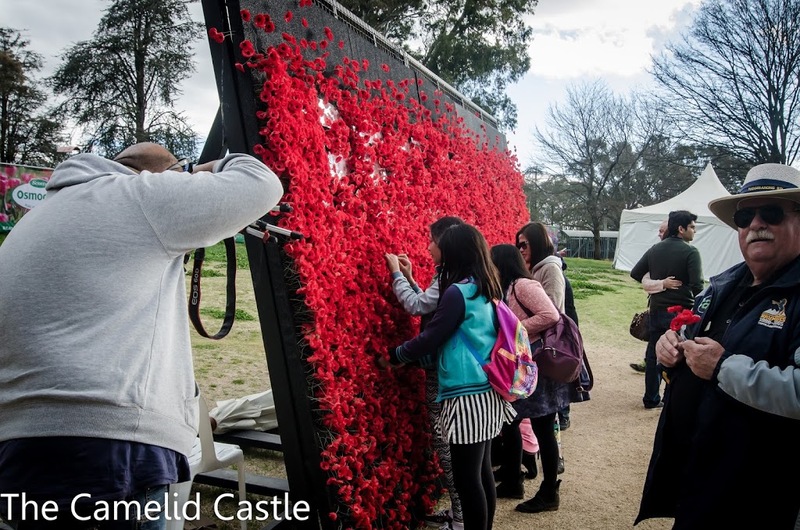 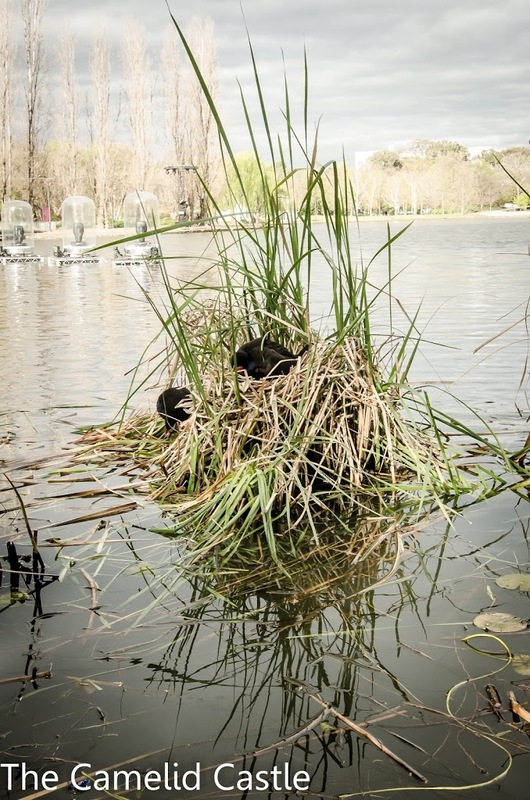 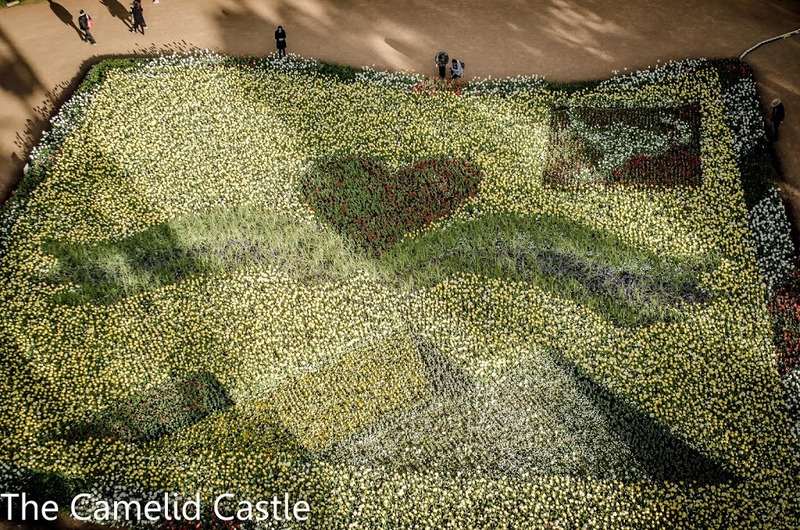 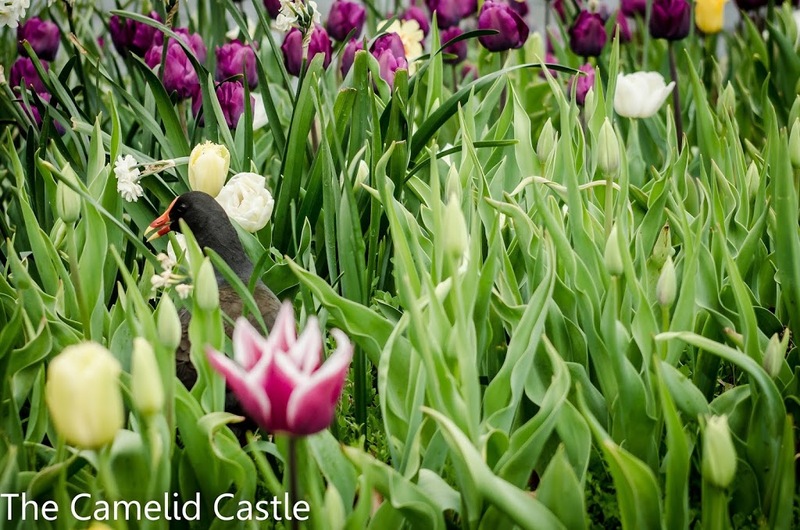 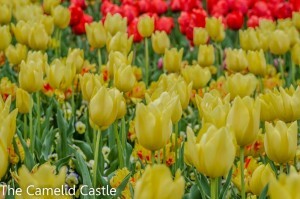 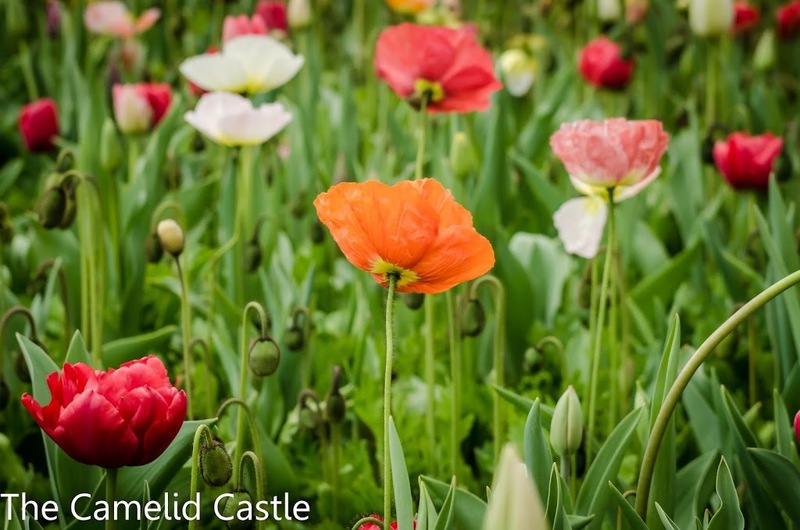 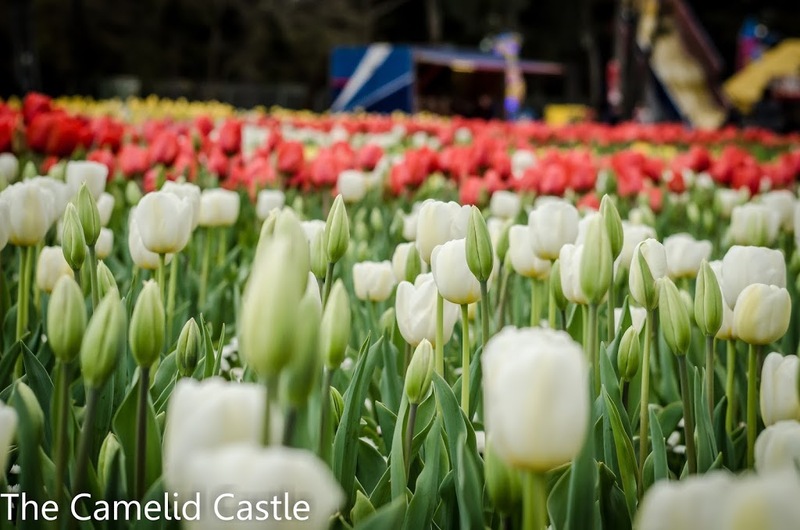 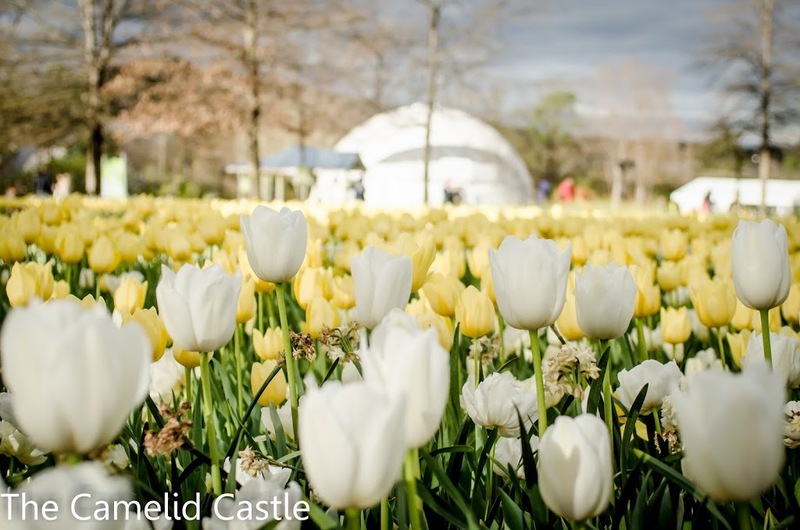 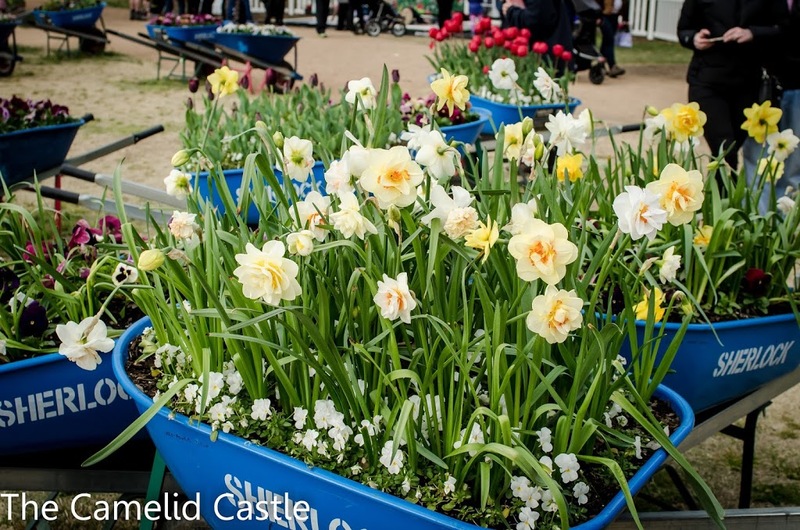 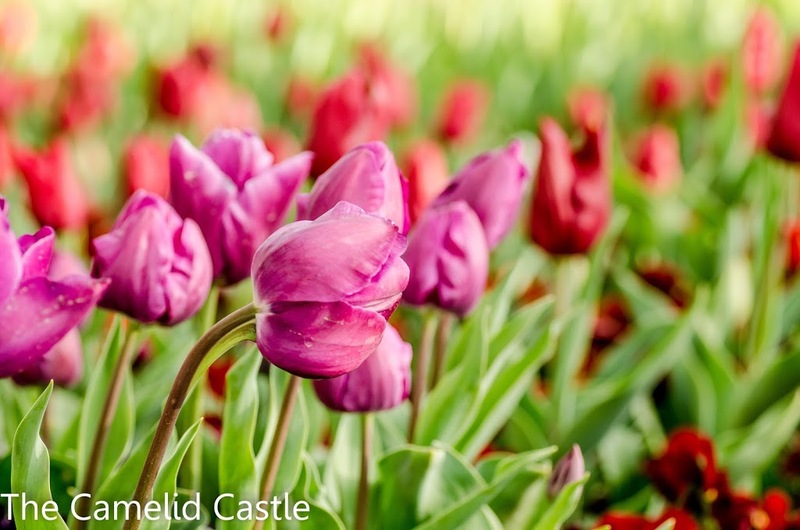 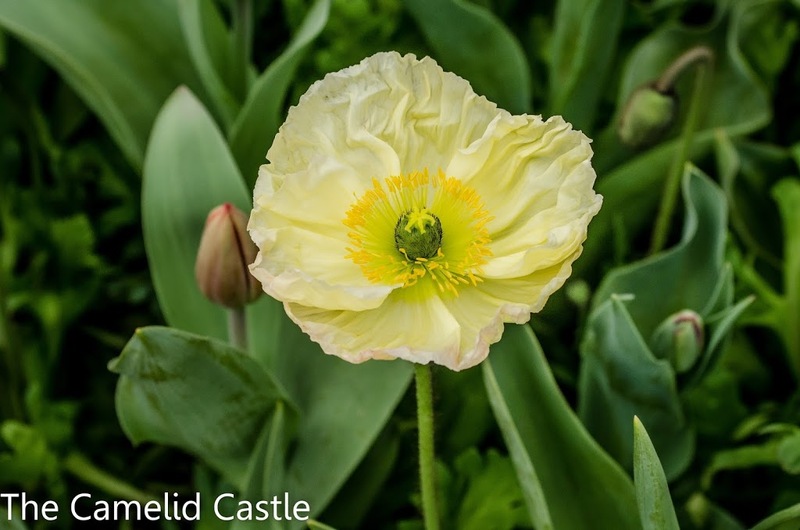 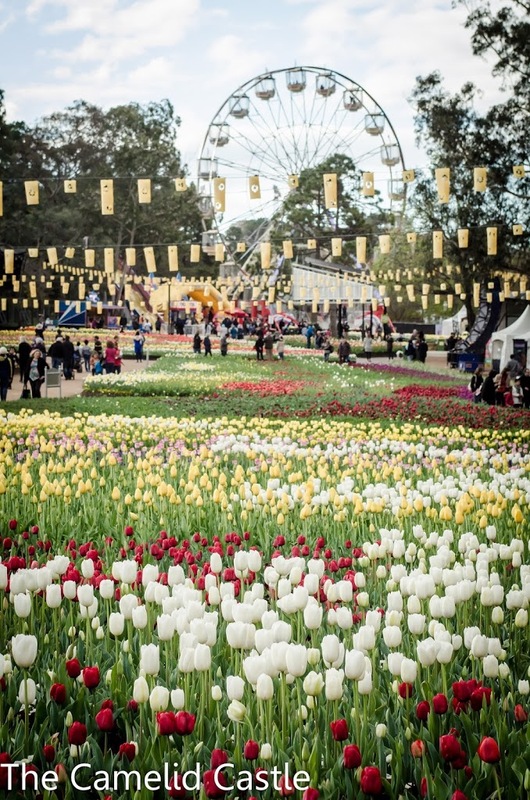 Fun, Flowers and Floriade (the 2015 version)……. 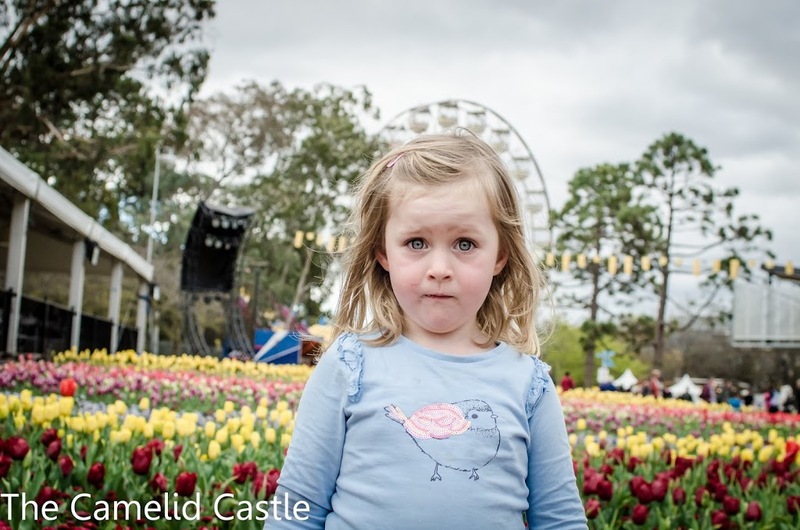 Astrid’s favourite Spring-time activity for the past 2 years has been a visit to Floriade, Canberra’s annual spring flower festival. 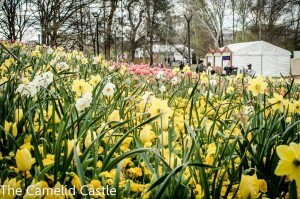 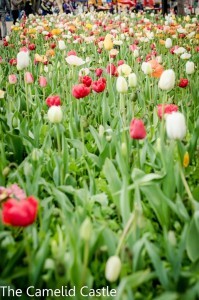 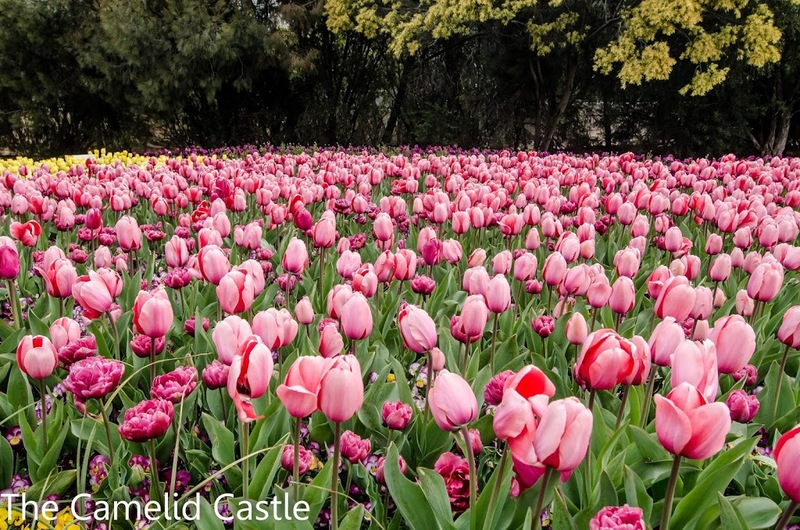 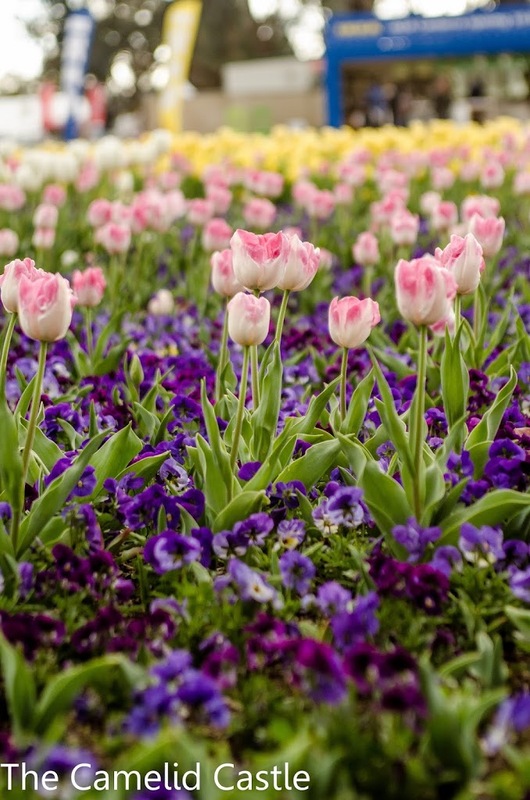 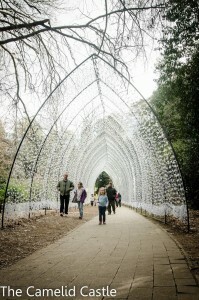 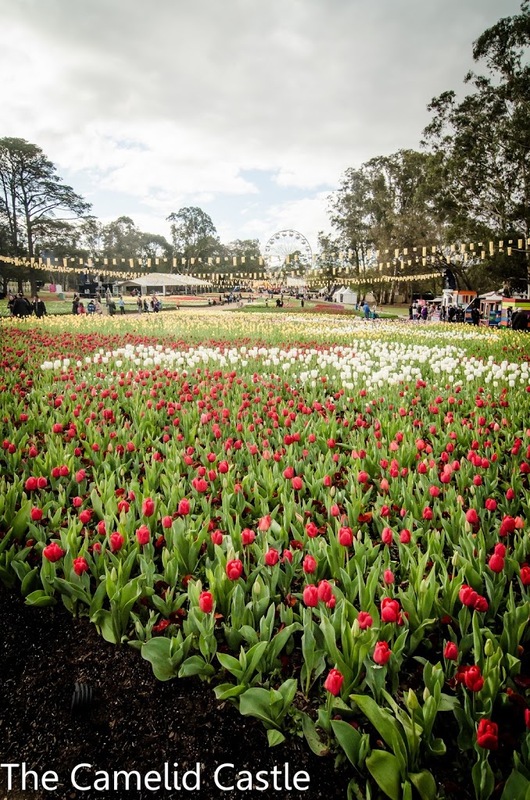 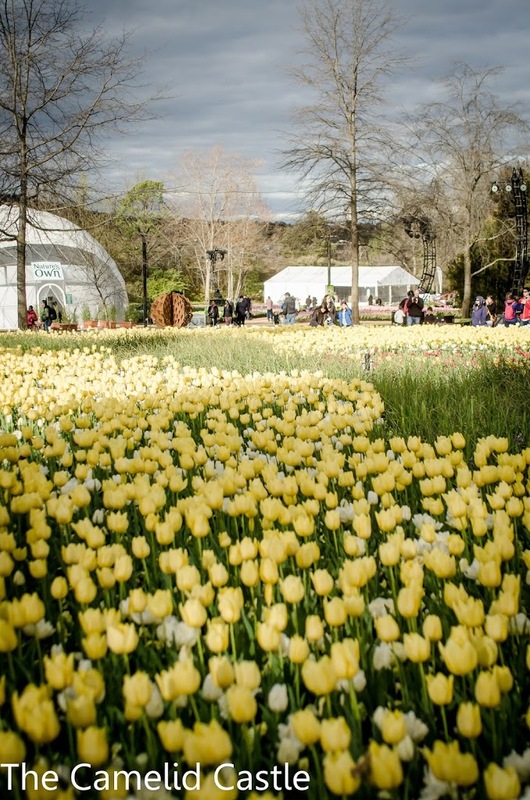 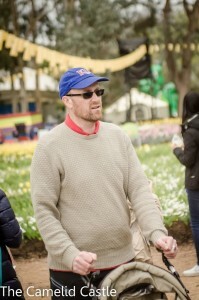 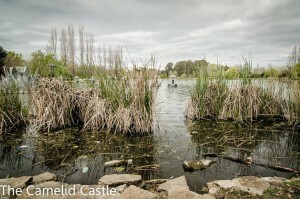 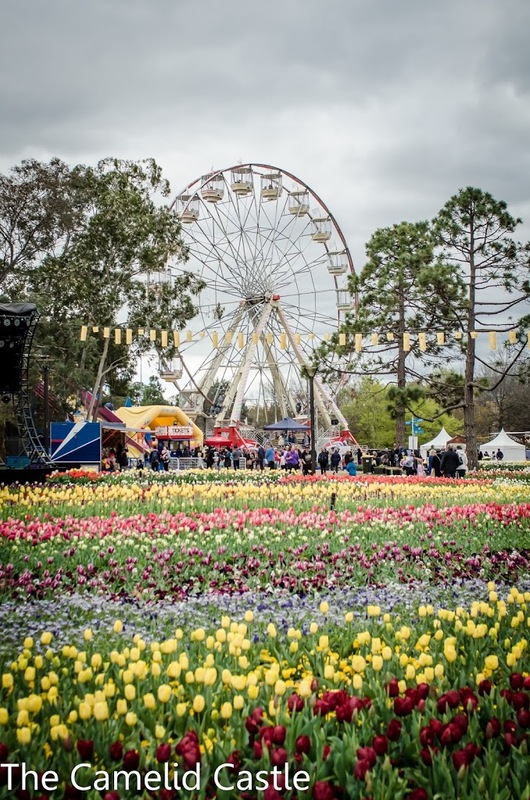 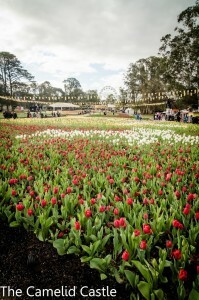 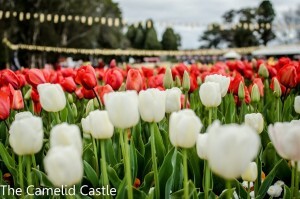 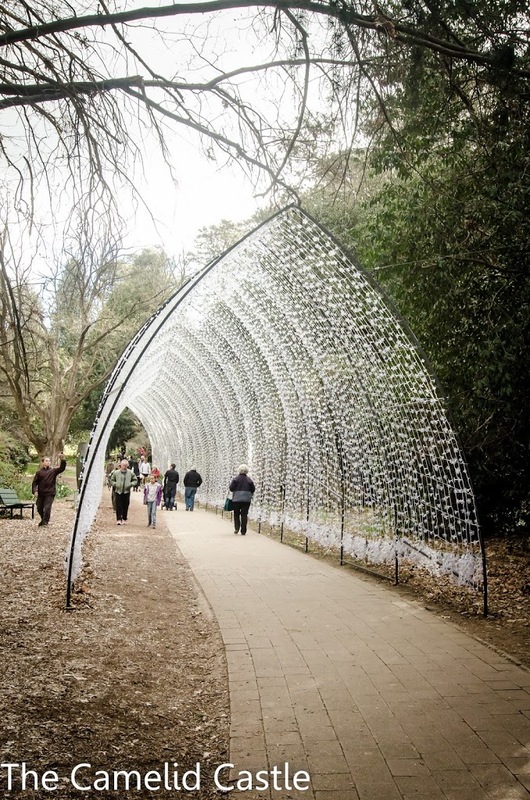 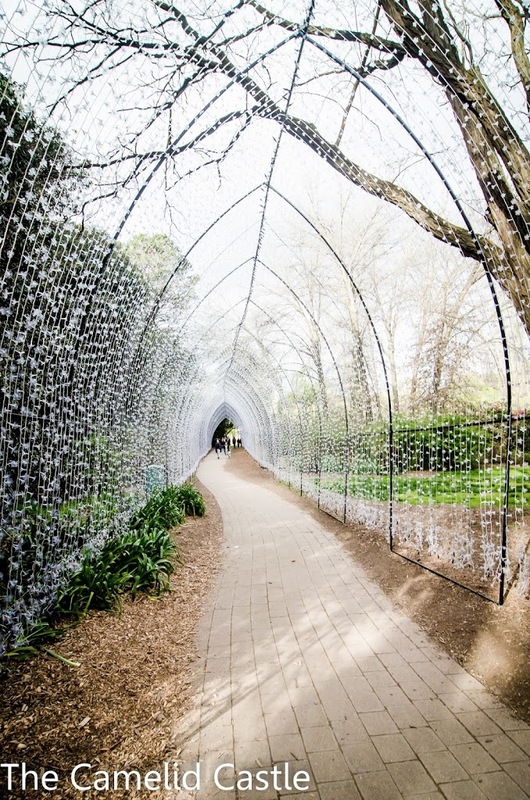 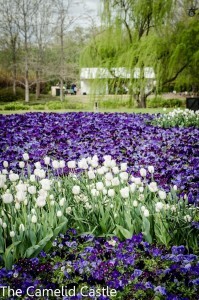 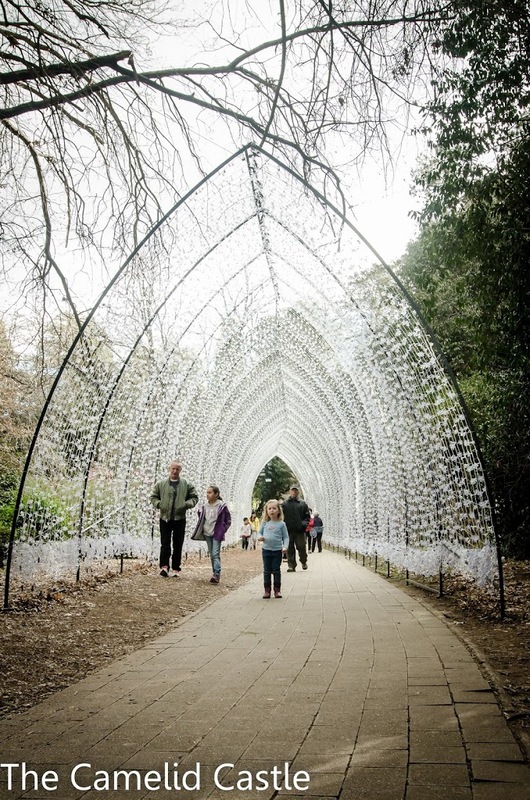 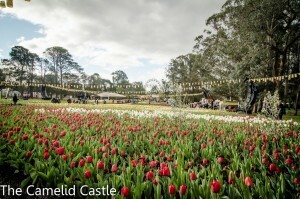 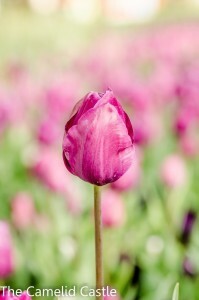 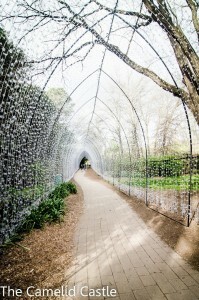 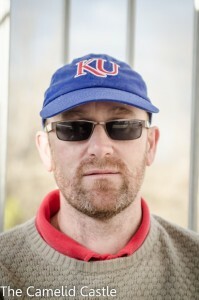 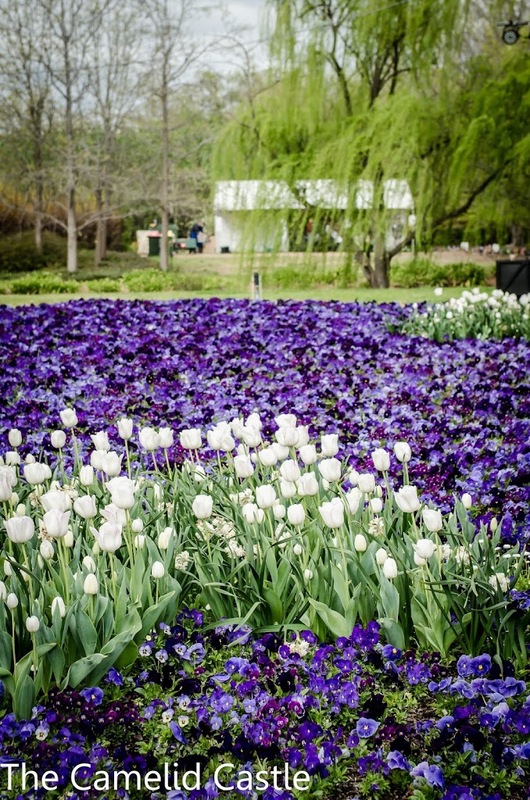 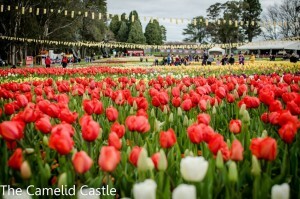 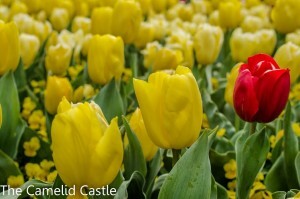 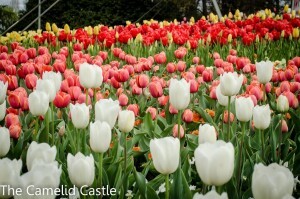 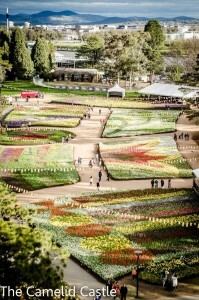 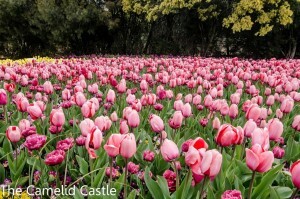 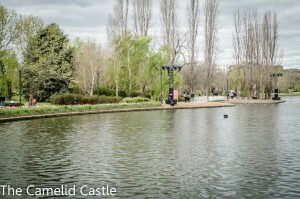 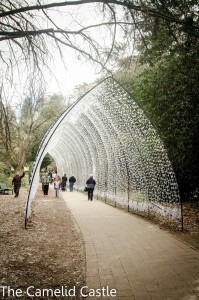 Floriade runs from mid-September to mid-October in Commonwealth Park, on the shores of lake Burley Griffin. For the past few years we’ve enjoyed taking the kid(s) along for some fun and flowers. 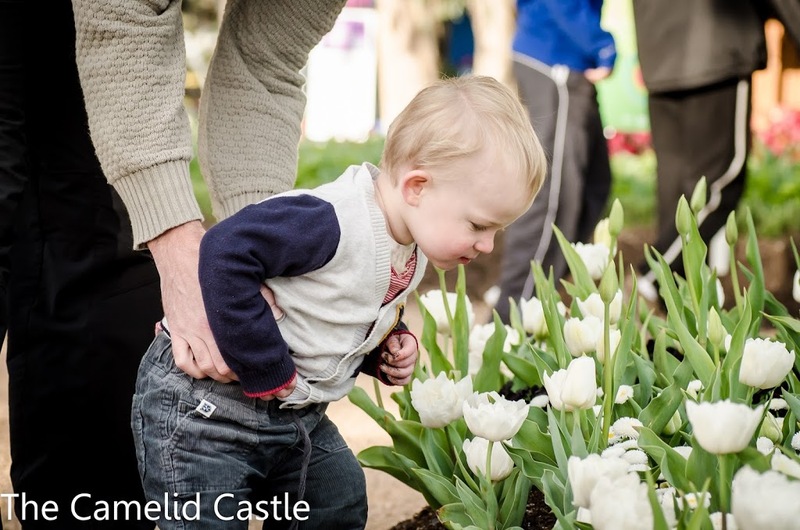 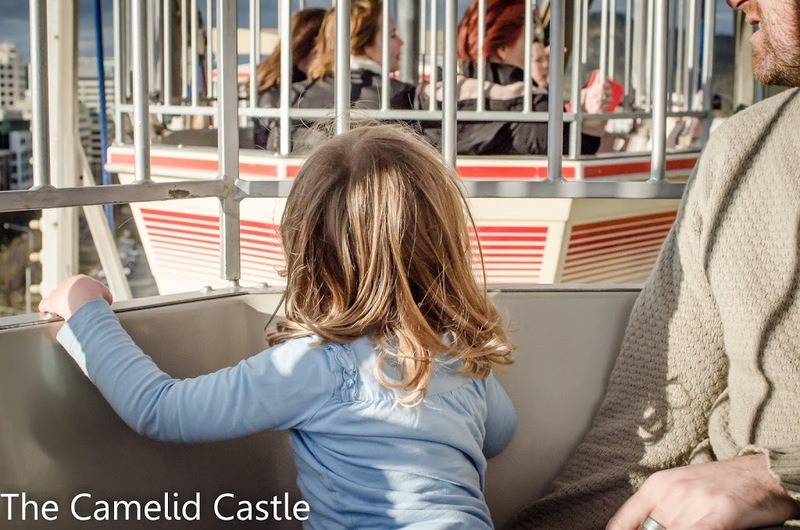 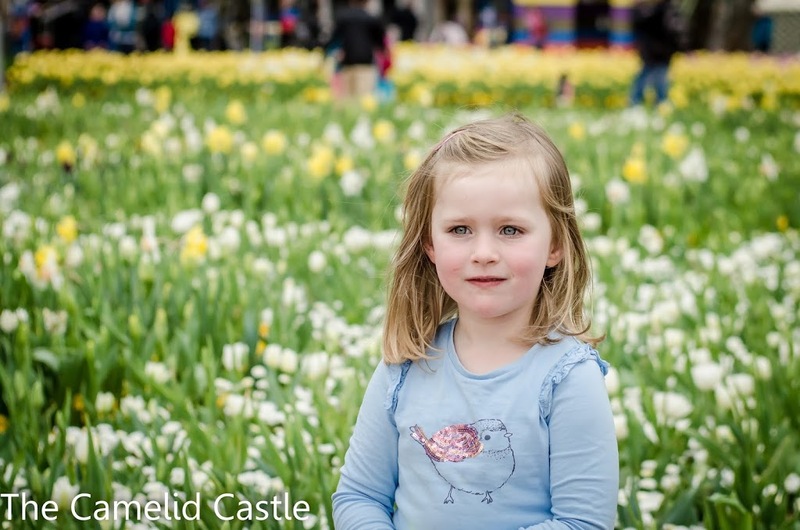 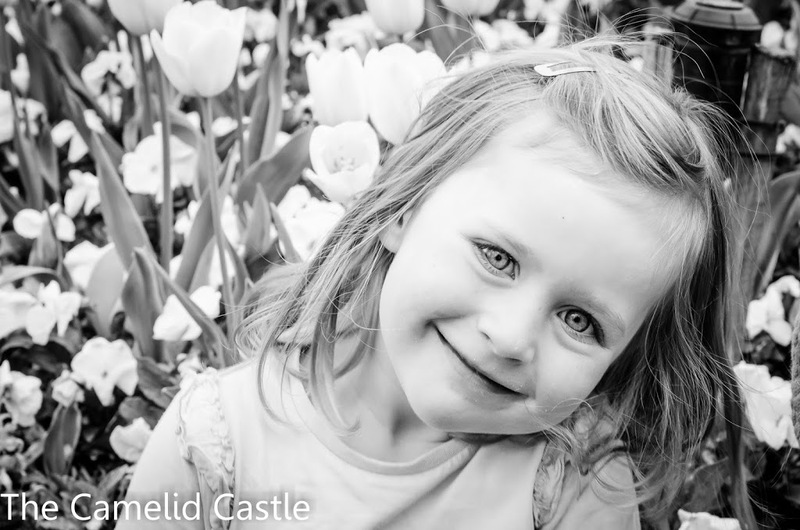 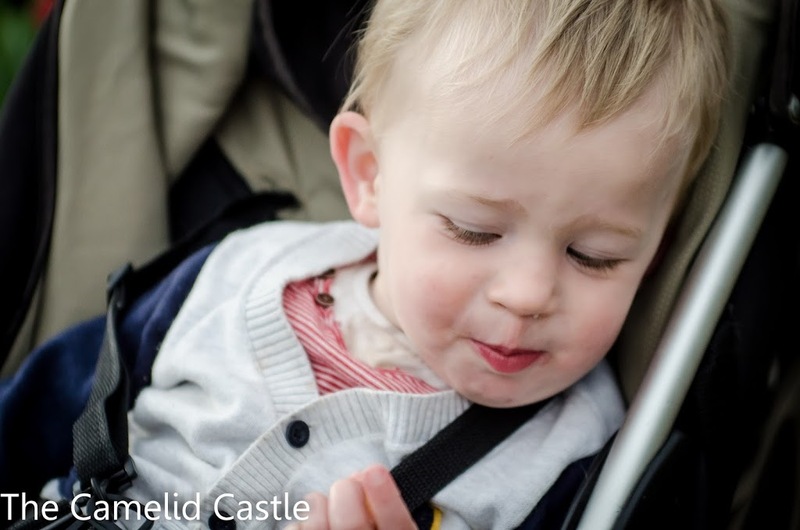 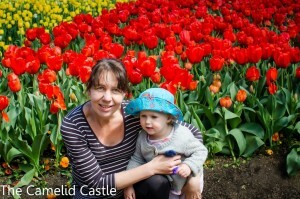 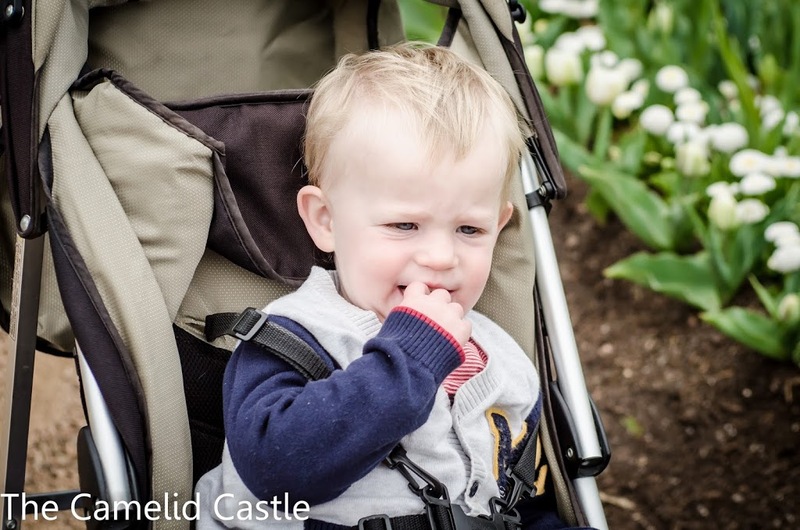 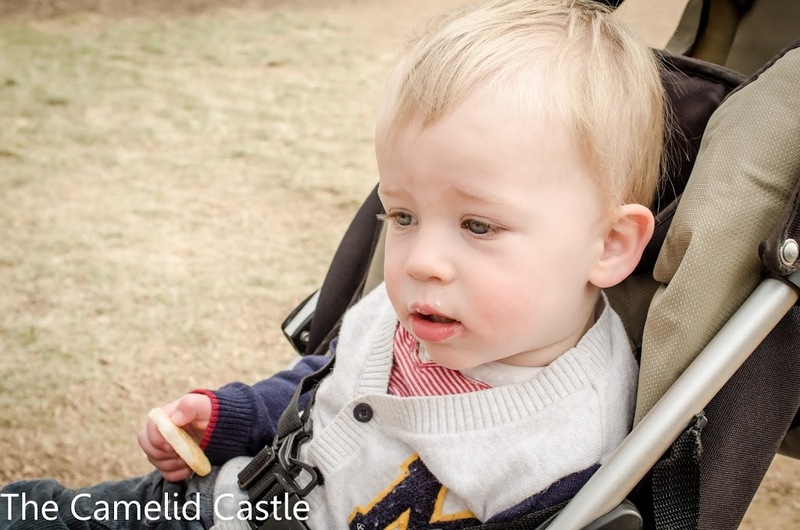 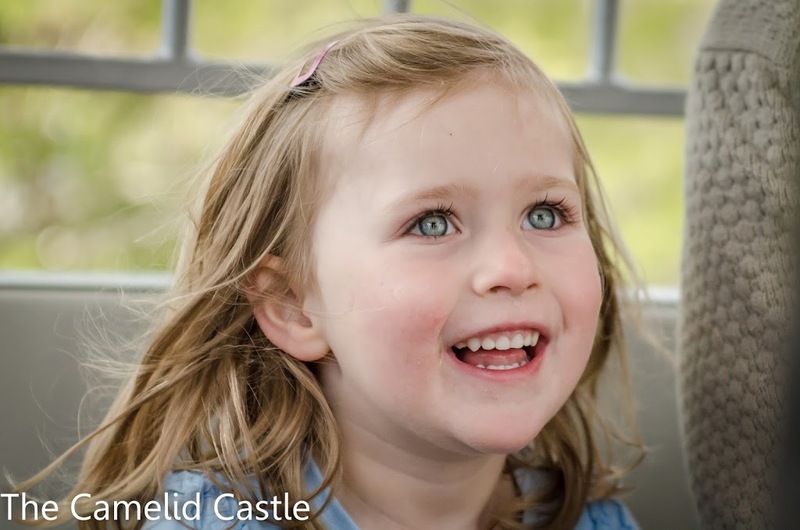 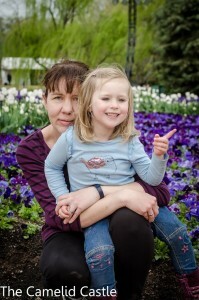 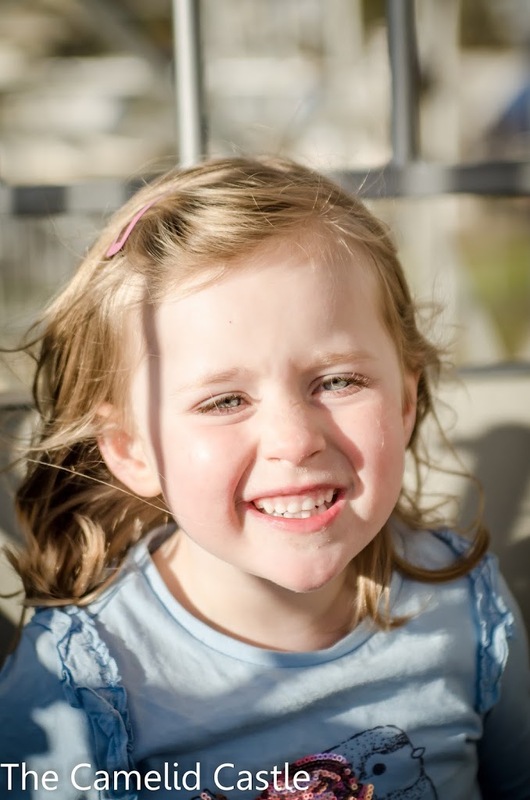 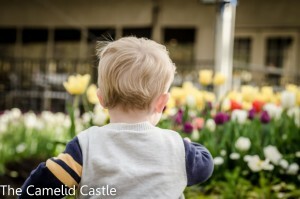 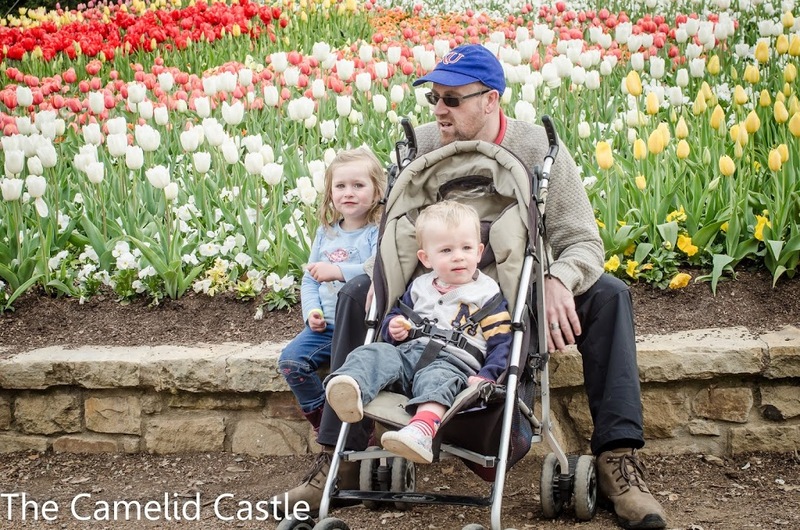 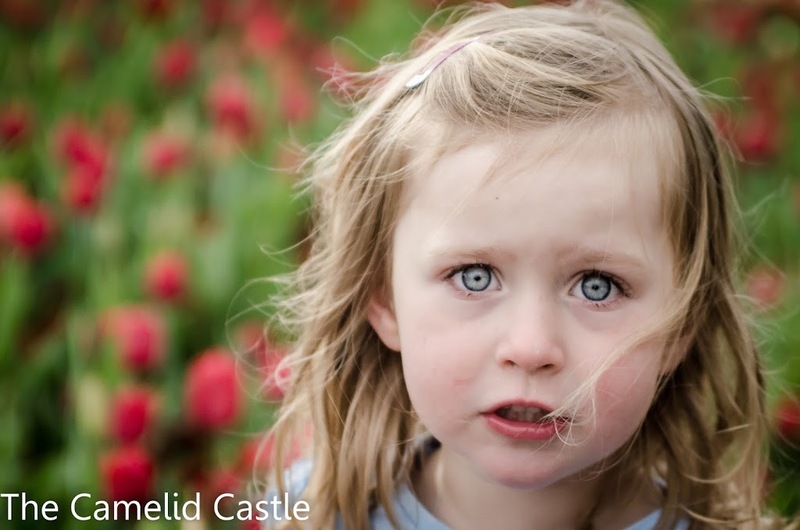 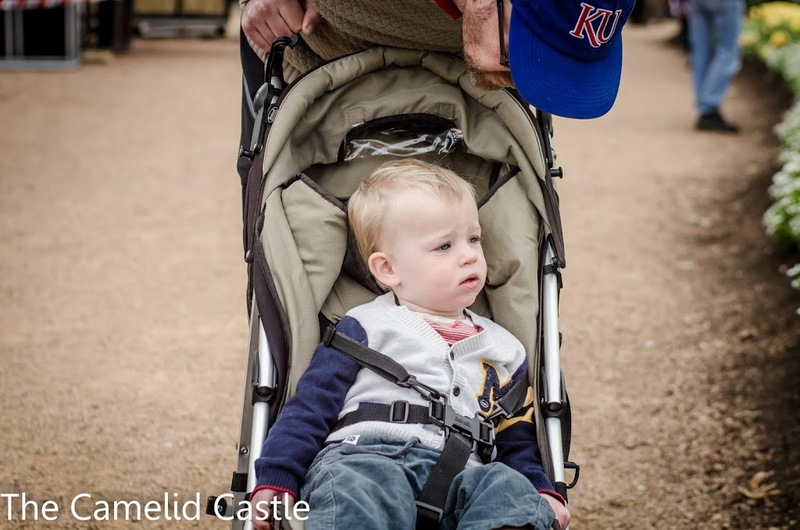 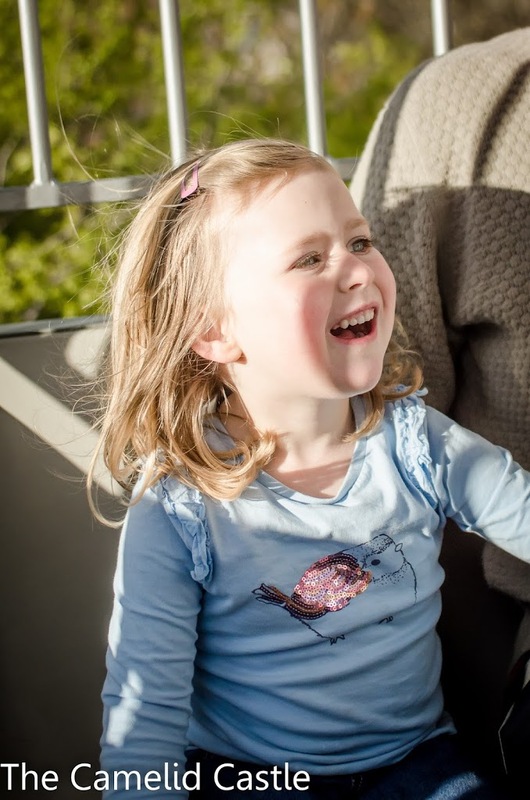 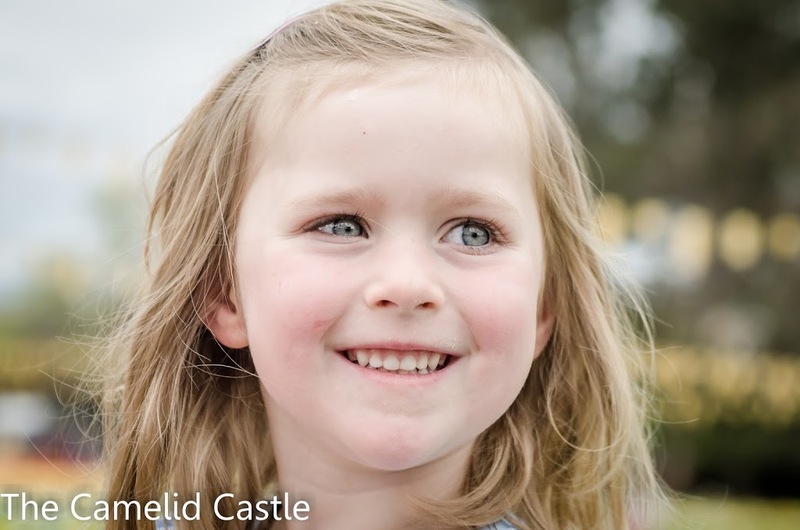 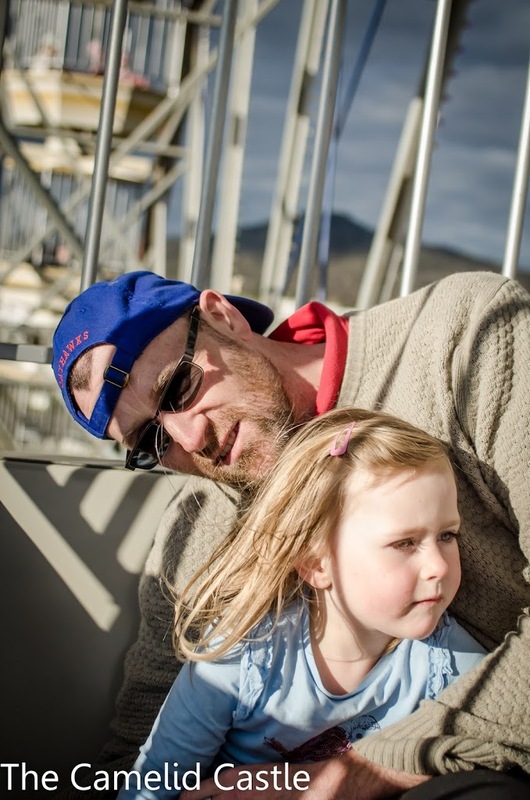 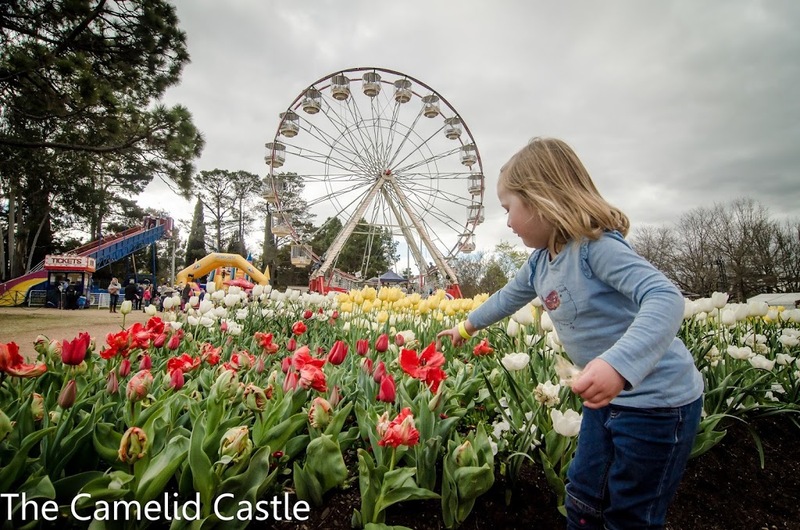 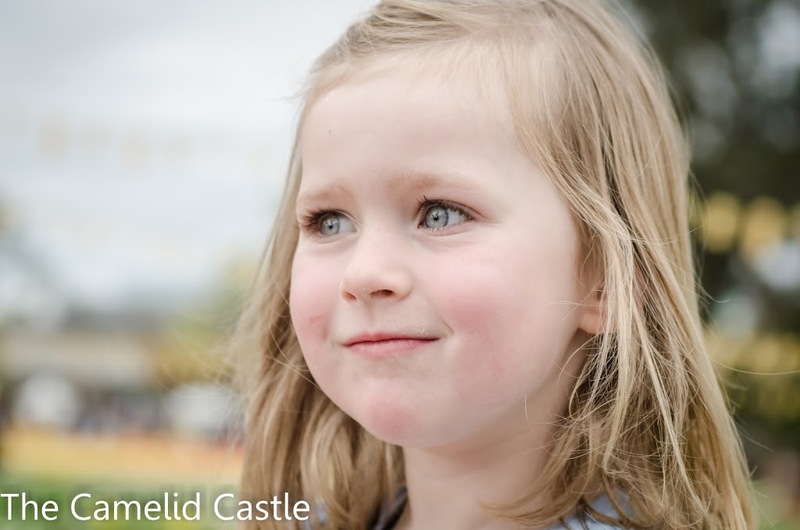 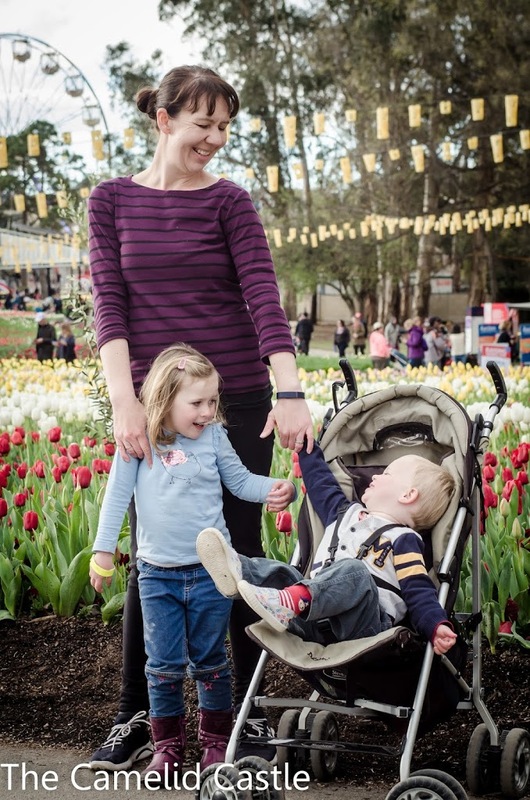 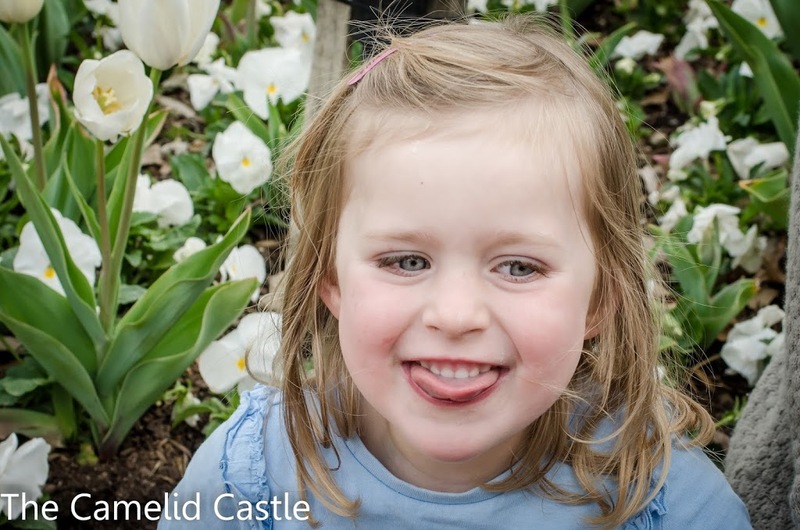 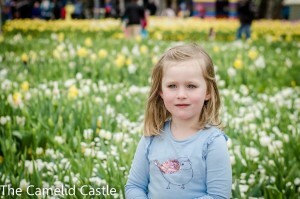 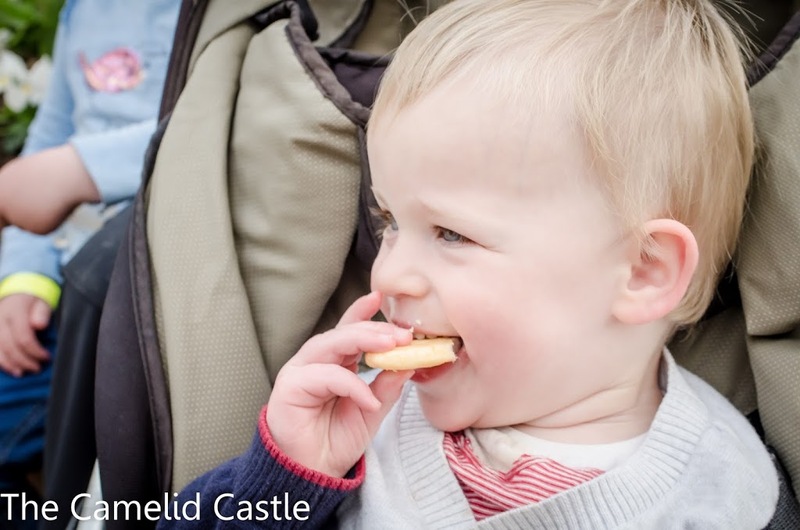 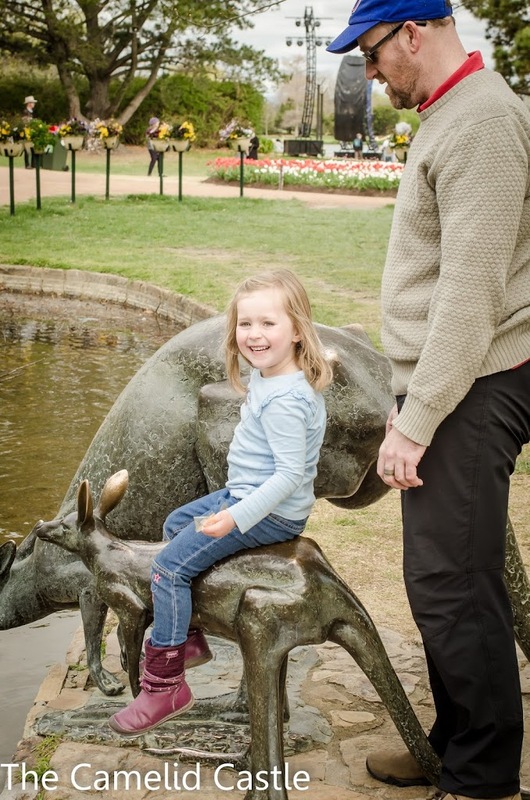 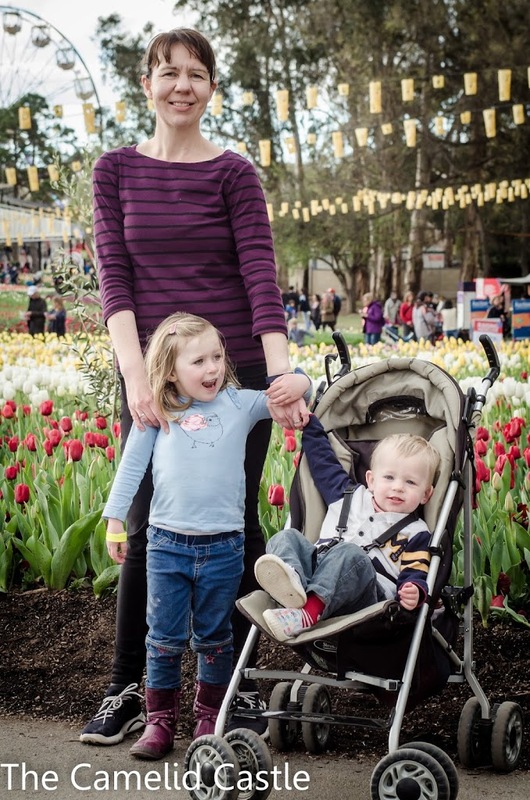 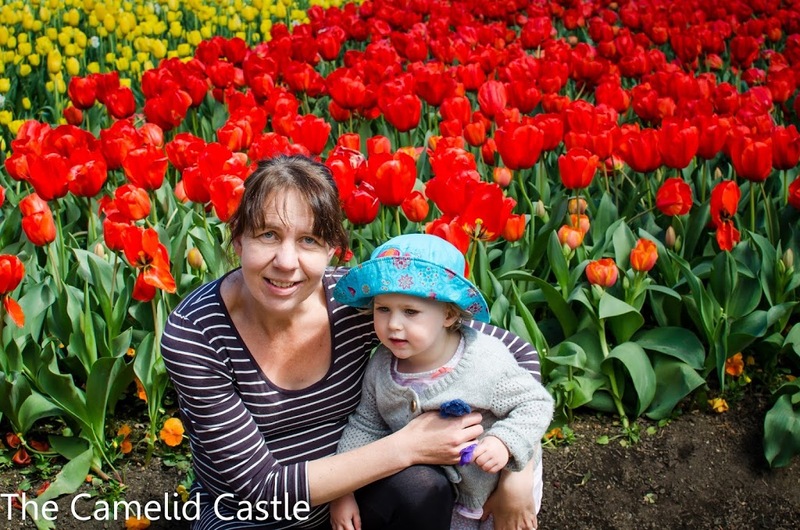 This year we originally planned a visit during the school holidays, but with Astrid scheduled for surgery that was likely to leave her feeling less than chipper for a few weeks, we made a quick Floriade visit post-preschool on the last day of school term. 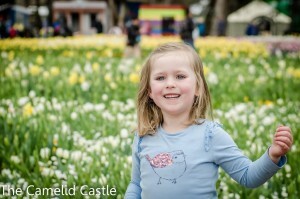 Of course the day we picked was rather cool, windy and overcast. 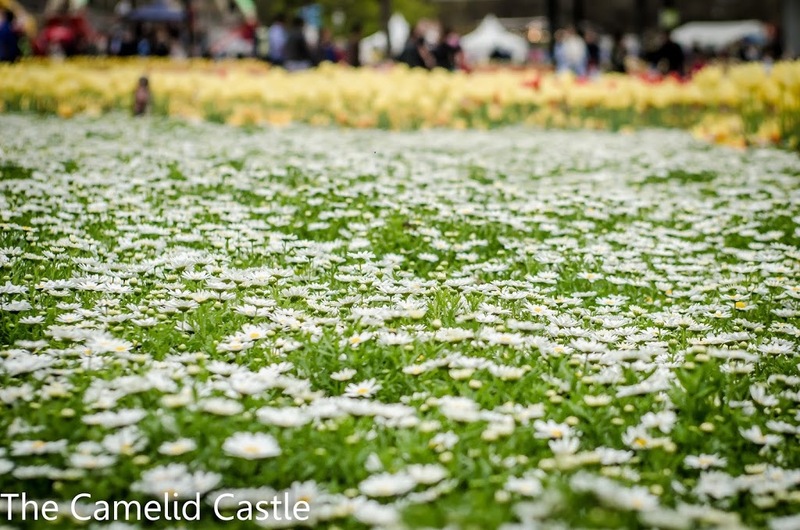 Not the delightful Spring weather we had been having. We still figured that a short visit on a less than ideal day was better than no visit at all. 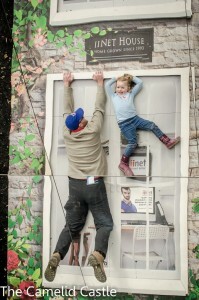 The hope was that Astrid might be well enough to make another visit towards the end of the festival. 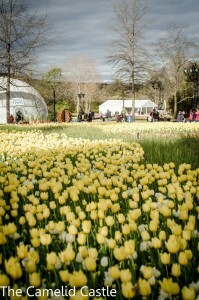 The upside of picking a late afternoon which was cool and cloudy, was that it wasn’t too busy (at least by Floriade standards). There were still plenty of people but we didn’t have to fight our way through the crowds. 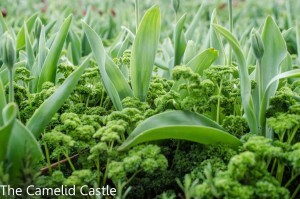 The downside was that as we visited about 10 days into the festival and it had been relatively cool, not all the flowers were in full bloom yet. 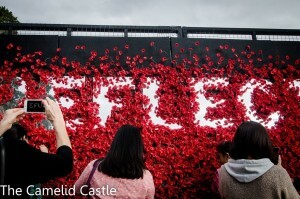 It was still pretty impressive, but by this week it would look totally different. 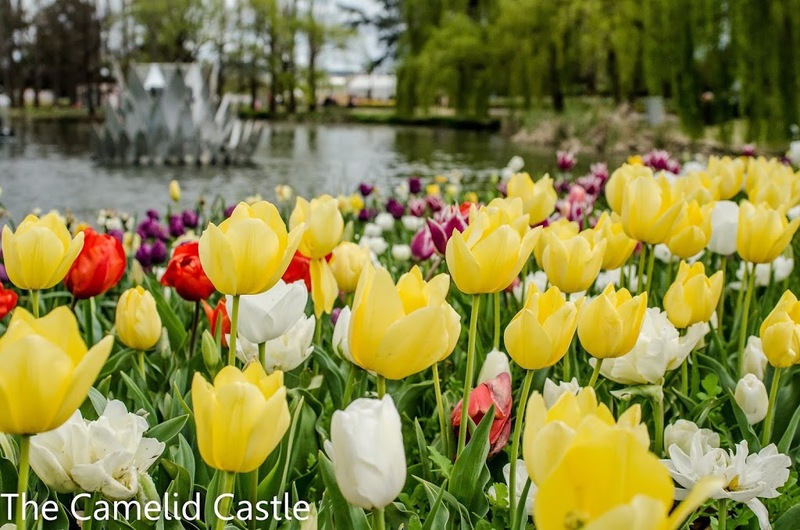 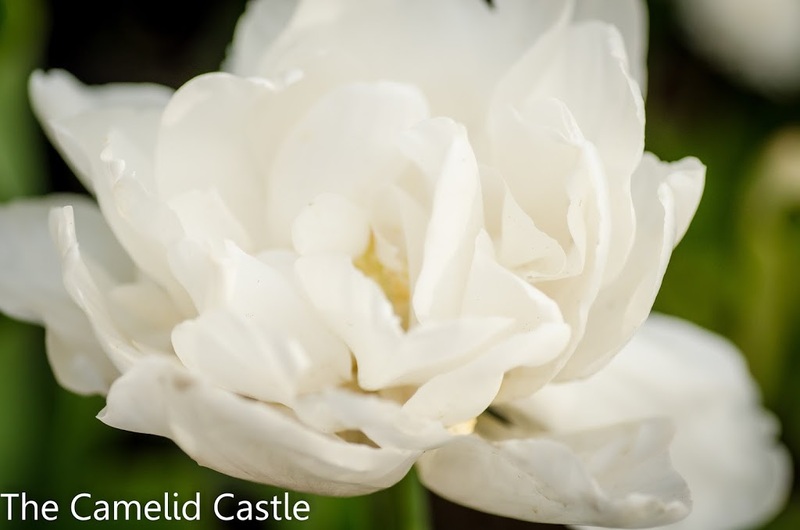 They do try to stage the flowers so that there is something to look at throughout the whole 4 weeks, so whenever you visit there is always some beautiful flowers to admire. 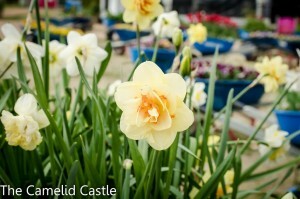 We wandered through our loop of pretty garden beds and saw many of our favourite flowers on display. 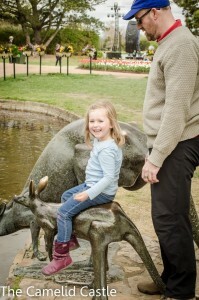 Astrid even had a ride on the Kangaroo sculptures by the lake and had to pretend to climb up the walls in the iinet mirror display. 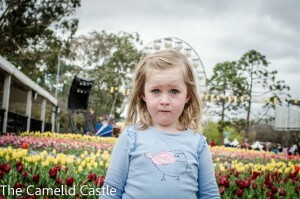 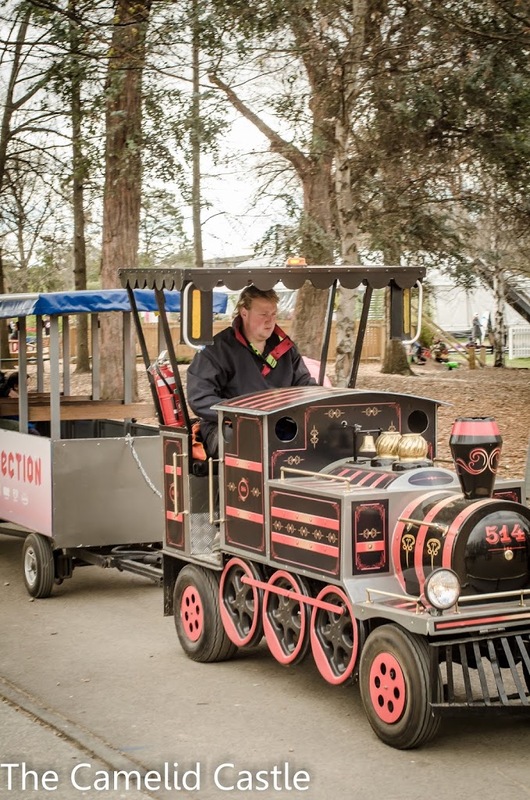 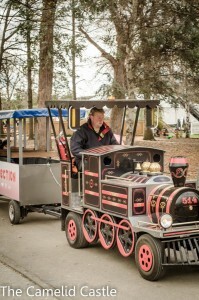 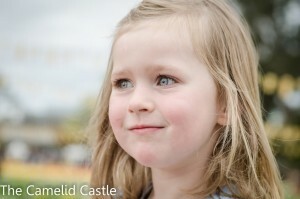 She was a little terrified of the train taking people for rides around Floriade and thankfully didn’t ask us for a go! 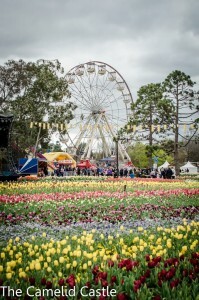 As we walked around the late we admired all the lighting set up for the nightfest that was running this week. 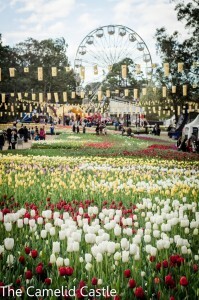 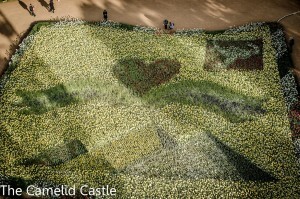 Next year we vow to go and see Floriade lit up at night. 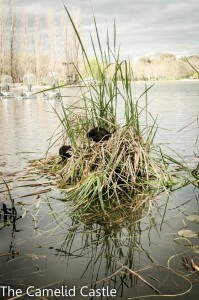 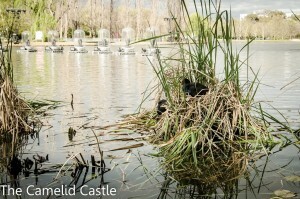 We also saw some of the lakes resident swamp hens, nesting, right near the shore. As we visited late in the afternoon the kids favourites of the petting zoo and reptile exhibits weren’t running. Astrid has really enjoyed these the last couple of years but there is always next year. She has been requesting a ride on the Ferris Wheel (she got to go last year), so we had to oblige. 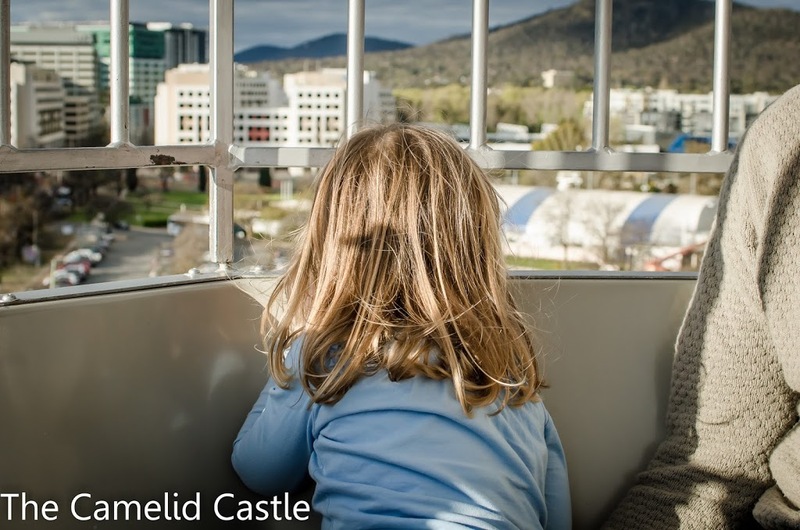 It was her one treat for the afternoon, an expensive and short-lived treat, but when we saw the excitement on her face as we hopped on the giant wheel and started moving around, we couldn’t begrudge the $8 each it cost us. 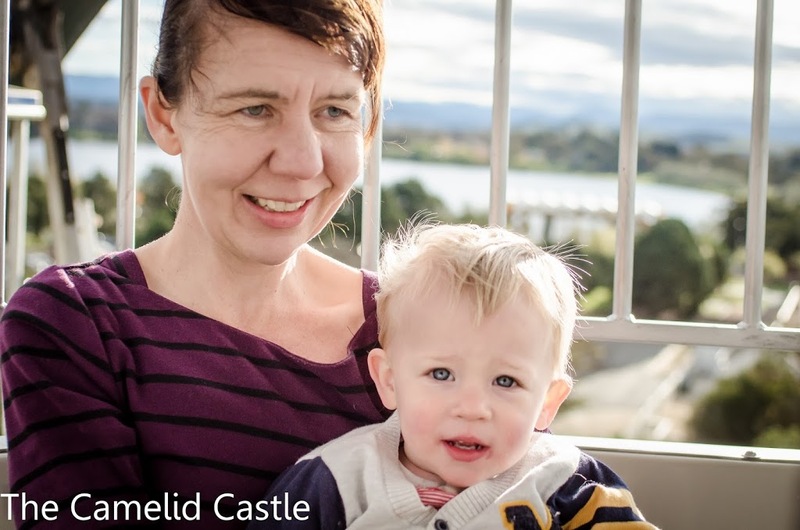 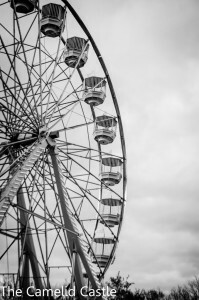 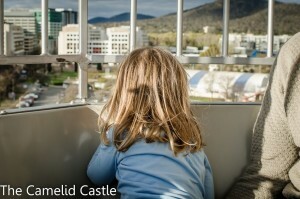 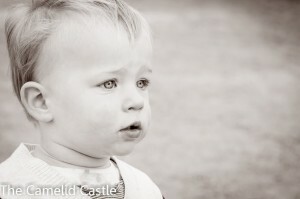 Astrid had been asking all week for Soren to have his first Ferris wheel ride too. 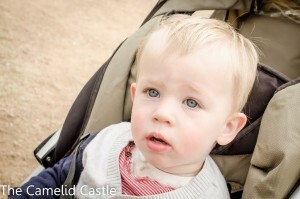 The previous year I hadn’t bothered taking him up, but this year apparently we all had to go. Soren looked a little more perplexed by the whole experience than his big sister but did seem to thoroughly enjoy the ride and the views. 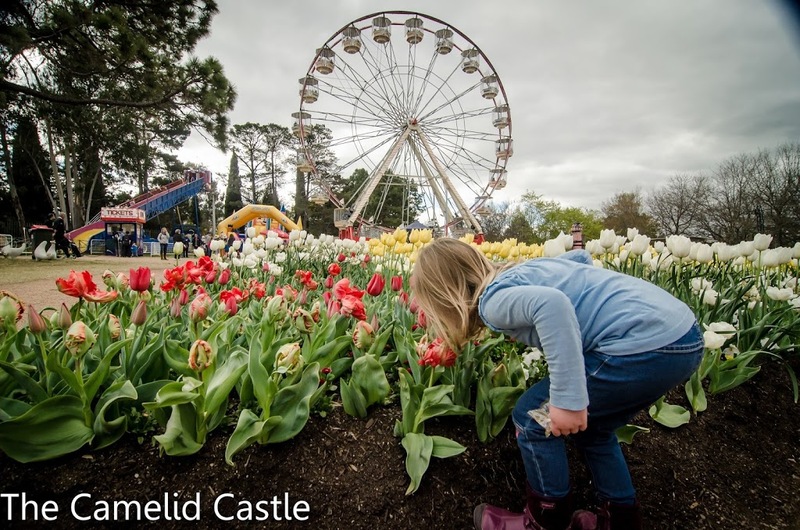 Even if you don’t go on the Ferris wheel for kid entertainment then it’s worth it to get a look at the flower plantings from above. 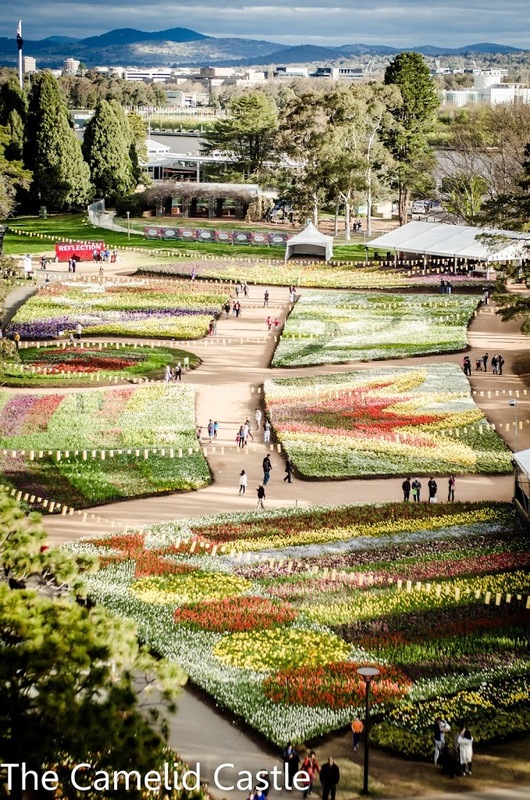 You really can only see the overall designs and patterns from up high, so it is definitely worth the trip to get the overall Floriade view. 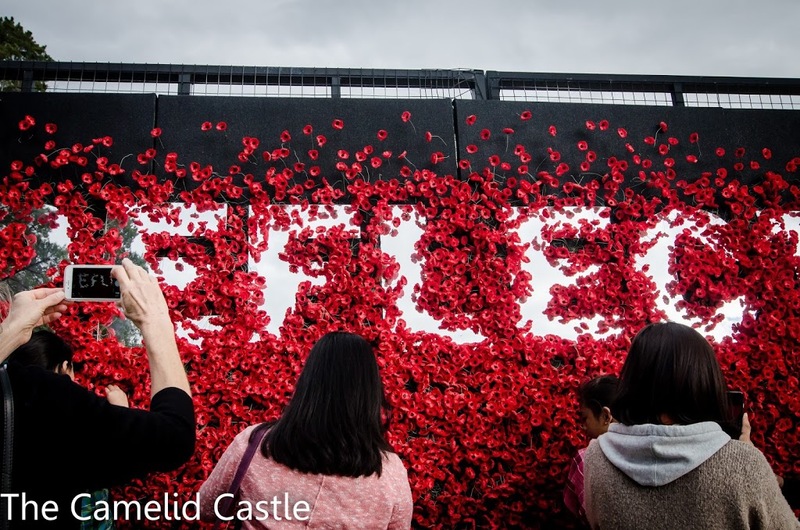 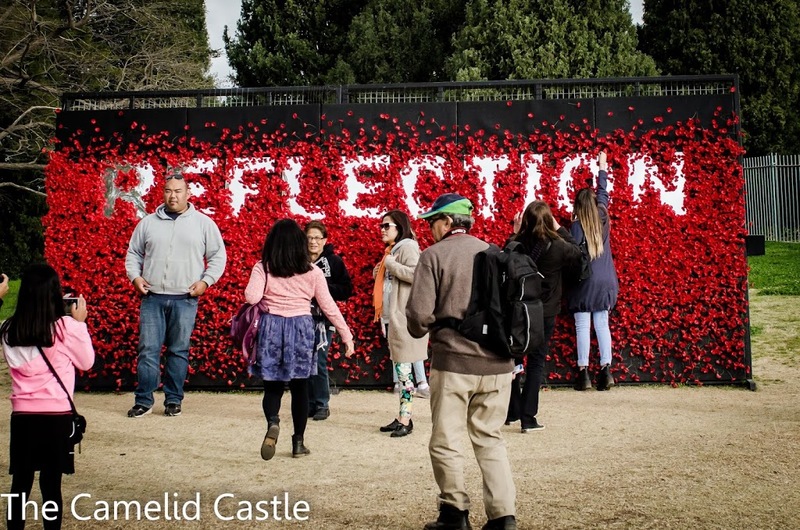 This years theme is ‘Reflections’, which was portrayed in both the garden bed plantings and some of the art pieces around Floriade. 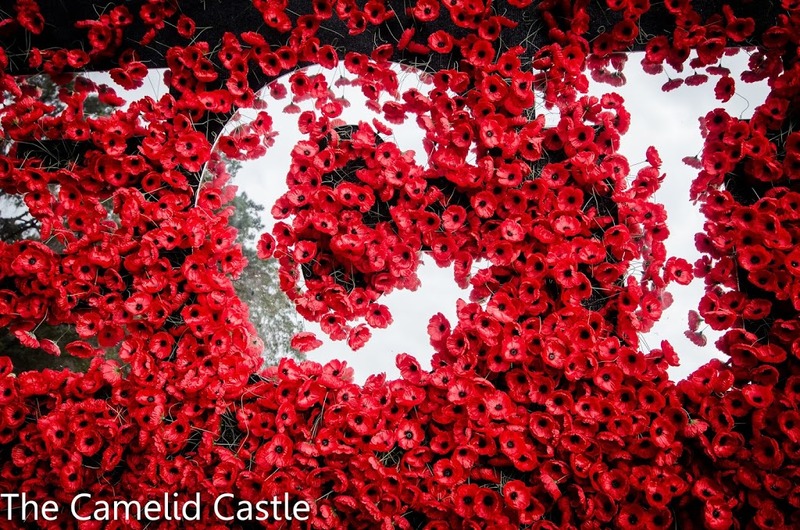 The poppy display was particularly striking. 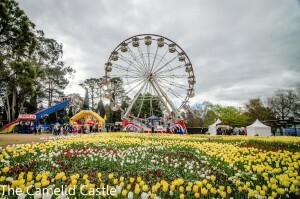 Sadly for Astrid, our Ferris wheel ride was over after not too long and we had to return to walking around and admiring the flowers from ground level.We did promise her that at the end of the year we will be visiting a place called Tivoli gardens in Copenhagen, that is full of rides, some even better than the old Floriade Ferris wheel! 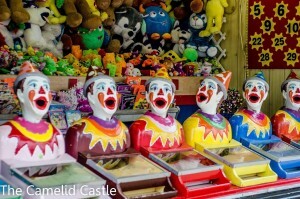 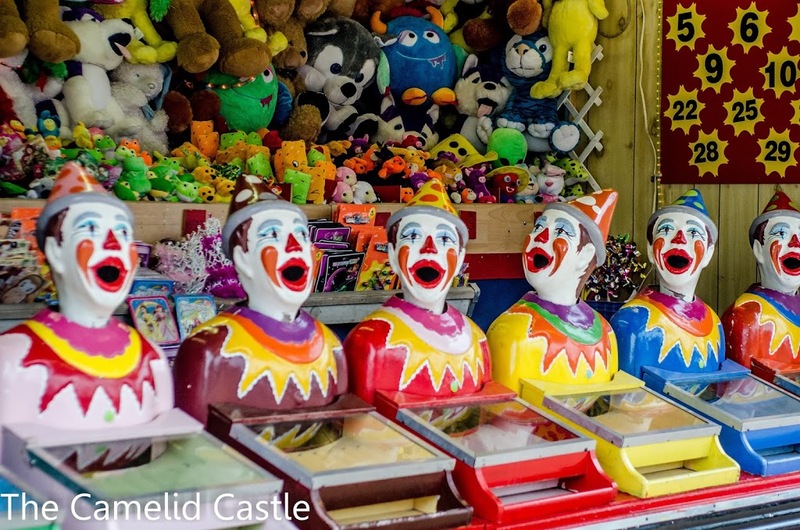 Between Tivoli and rides at the Christmas markets in Berlin, we may just blow her mind! 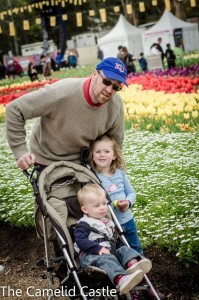 One last run around and look at the flowers for the kidlets. 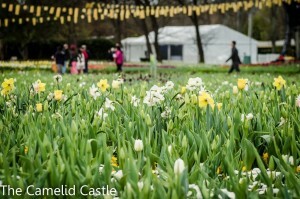 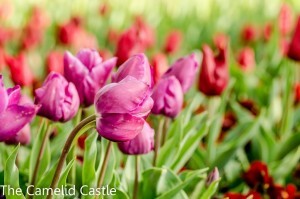 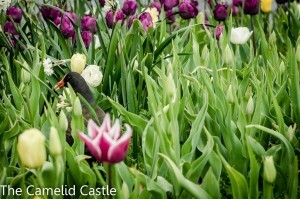 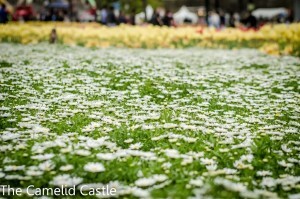 Sadly, Floriade was closing and we had to head out and home. 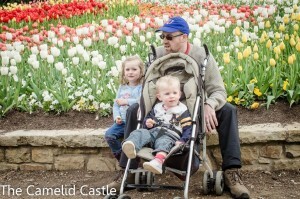 It was a bit of a quick visit this year but we still sore it all and both kids had more than enough time to stop and smell the Tulips! 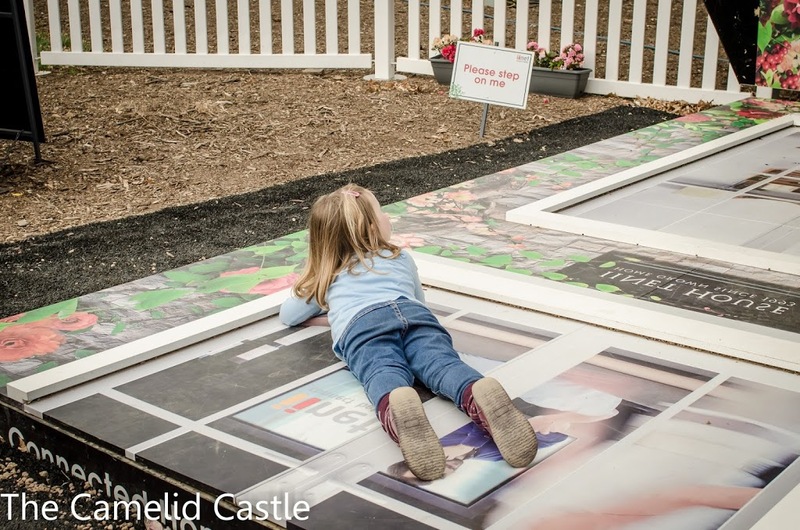 Every year for the past three years I’ve managed to have my photo in front of the same garden bed. 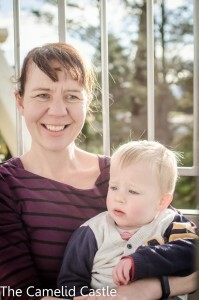 In 2013, Soren was a week from being born. Last year he was about to turn one, and this year a couple of weeks off two! Astrid has grown up and awful lot in the last 2 years too. 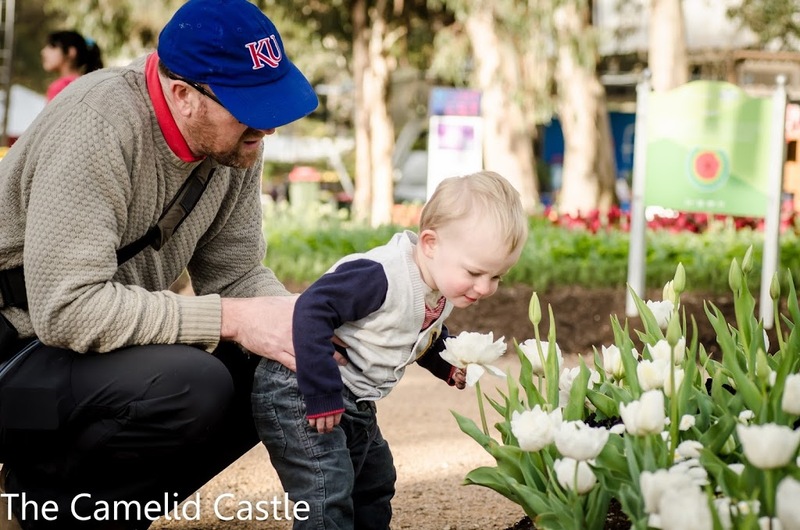 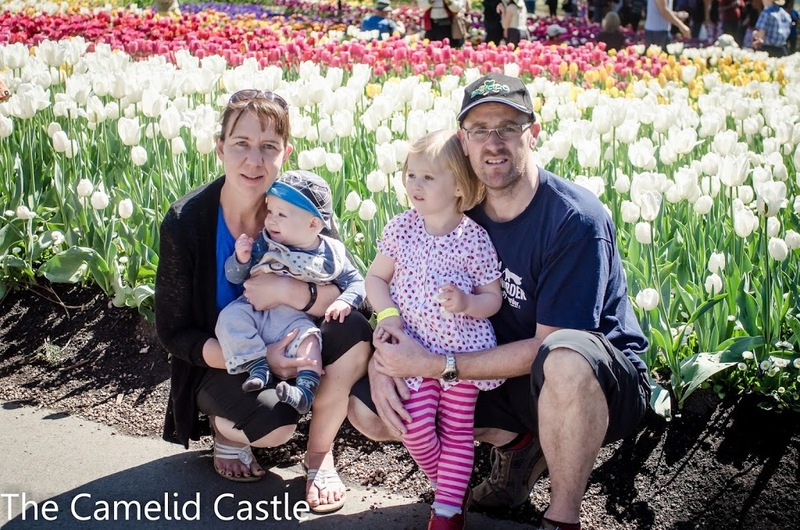 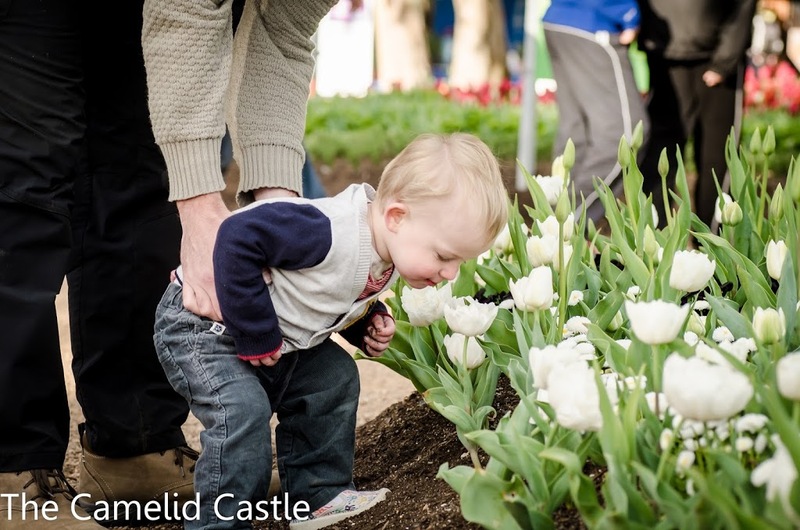 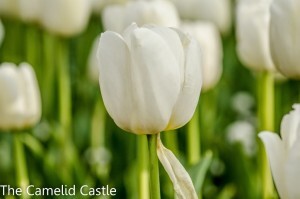 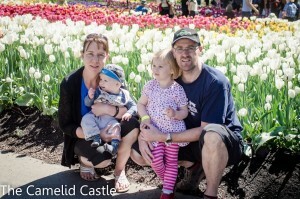 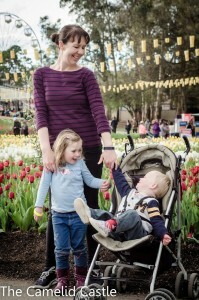 There might just have to be a 2016 comparison shot to see how much they continue to grow…..
Posted in 23 months, 4 years, Astrid, Australia, Canberra, Floriade, kids, Soren, SpringBookmark the permalink.